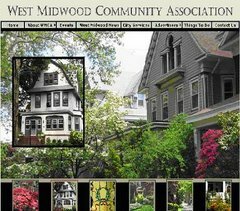 A continuing series continues with this continuation that might be the end...or the end of the beginning...As you will recall in our last thrill-packed image installment which you can find HERE, we displayed photographs that mostly contrasted 1910 locations with today (West South Midwood was built rather quickly, with most of the construction occurring 1904-1905 and you can read about those early days HERE and HERE and HERE). 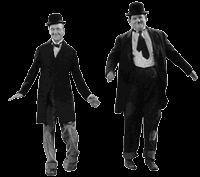 The images below contrast the same street scenes at many different intervals since 1910. NOTE: This blog is optimized for Mozilla Firefox. Looks very, very bad in Chrome and Internet Explorer. OK in Safari. Just the way it is, folks. 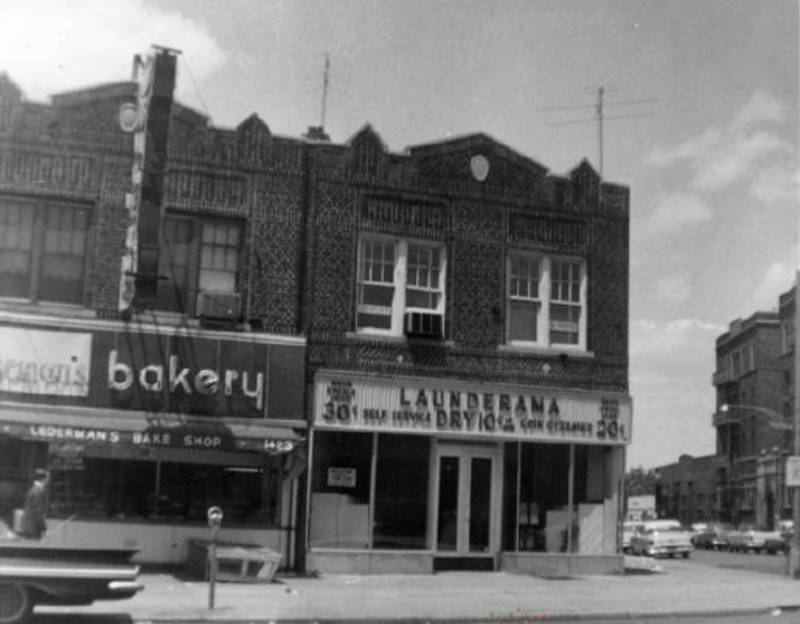 In 1961 Lederman's Bakery was one door from the corner. 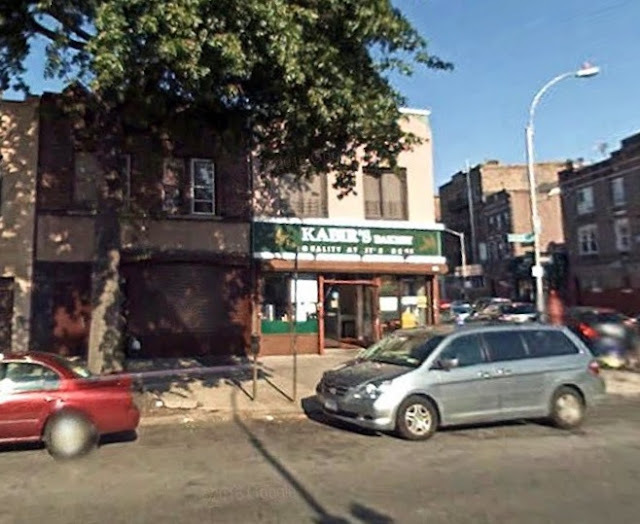 For the past decade, Kabir's Bakery has ruled that corner. 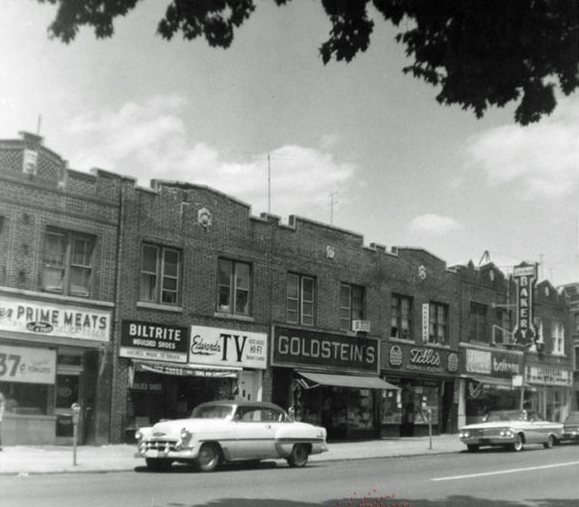 1963: Foster & Marlborough. The Leprechaun Bar. came home three sheets to the wind. 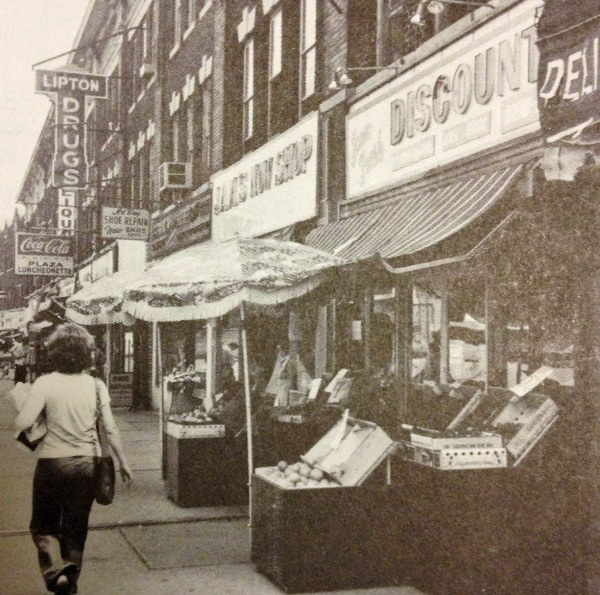 There was a market to the right of the Leprechaun Bar and Joe used to stop there and shop for groceries and ran up a tab that was rarely paid. My PS 217 friend Edith Foster's family lived over the Leprechaun Bar." Hmmm. Must have been confusing to have a surname of Foster if you lived on Foster Avenue. 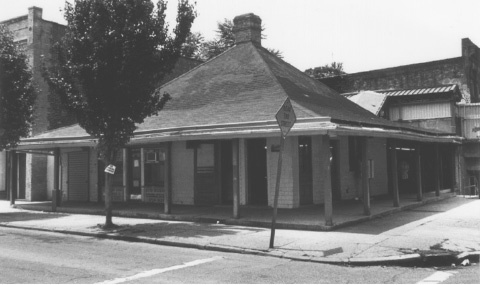 In 1962, a "Bar and Grill" occupied the triangular store-front, which was reportedly owned by the same family that has operated the Italian restaurant, Mama Lucia's, for the past 50 years there. The former owner, Ruth White, sits on her front steps in the 1978 photo above. Notice the fenced-in porch. The wall separating Marlborough Court from the backyards of Dekoven Court is in the right background. The enclosed porch is still there. 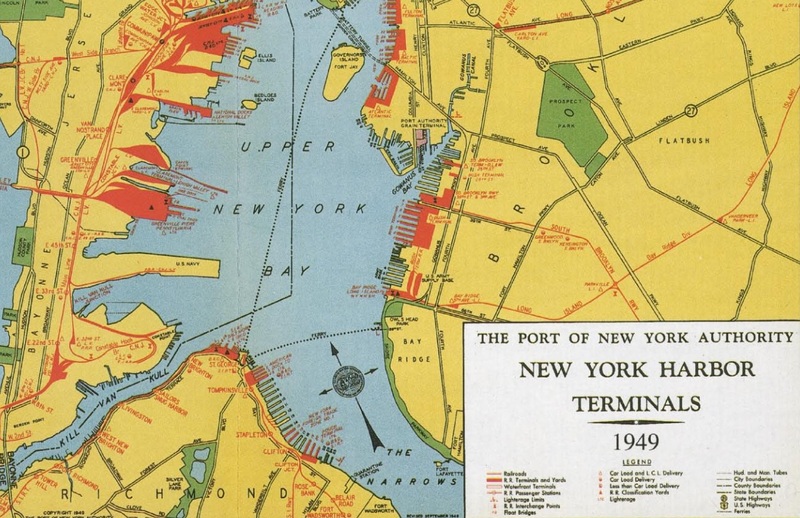 Note the original street grid name of East 15th Street. 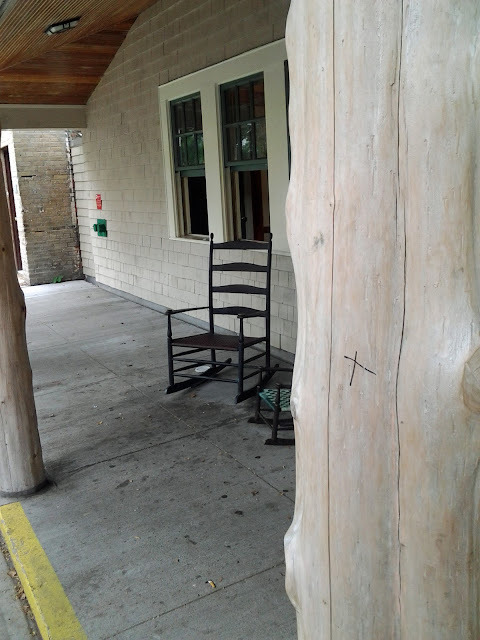 Per the current photo above, the front porch has been restored to its original open air style. 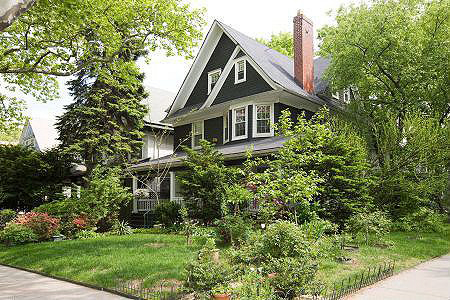 In 1908, the Real Estate Record and Builders Guide observed that “In Brooklyn, the borough of homes...where detached houses are the rule, the porch has become one of the most important centers of home life, the place to rest and read and have one’s tea, and coffee, too. To live out of doors and benefit by the pure air has become an important part of summer life." 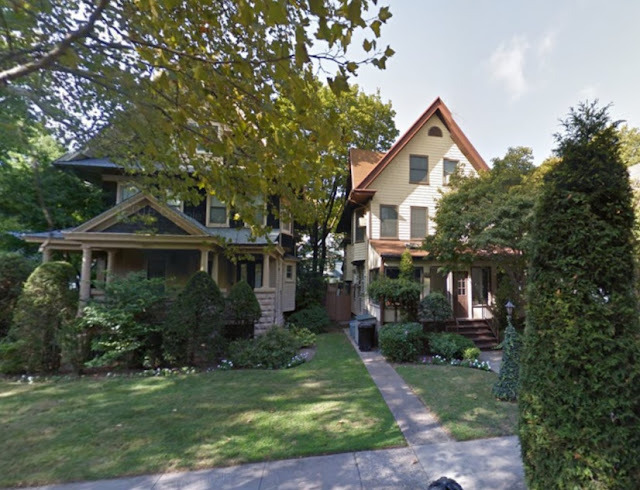 These homes were all constructed circa 1905. Harriet Serxner sold this home in 2012 to Ches Kasow. 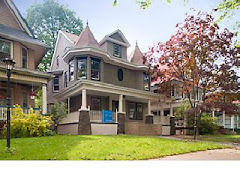 Ches conducted an extensive renovation while still retaining its Victorian exterior. 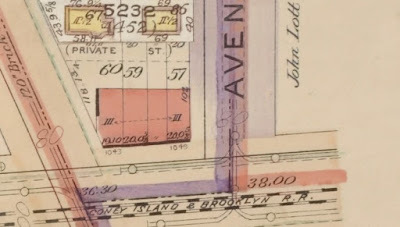 Note the City property and building databases do not record the original street grid name of Avenue G in this instance. 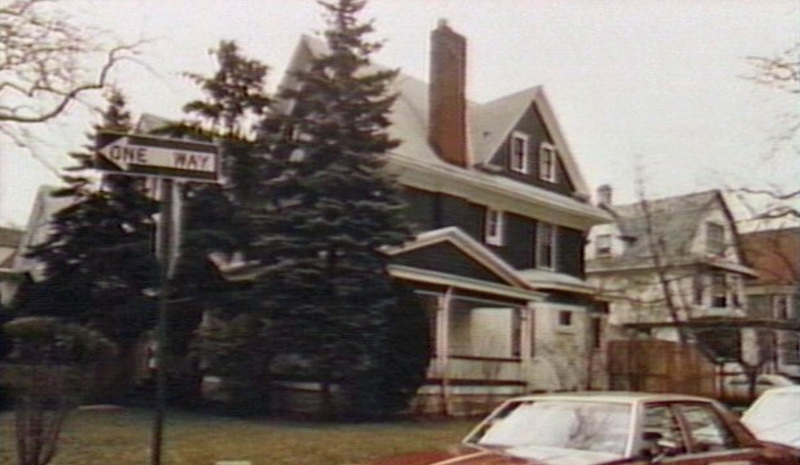 The Clemente family, which owned the corner home, renovated the property prior to selling it in 2002. 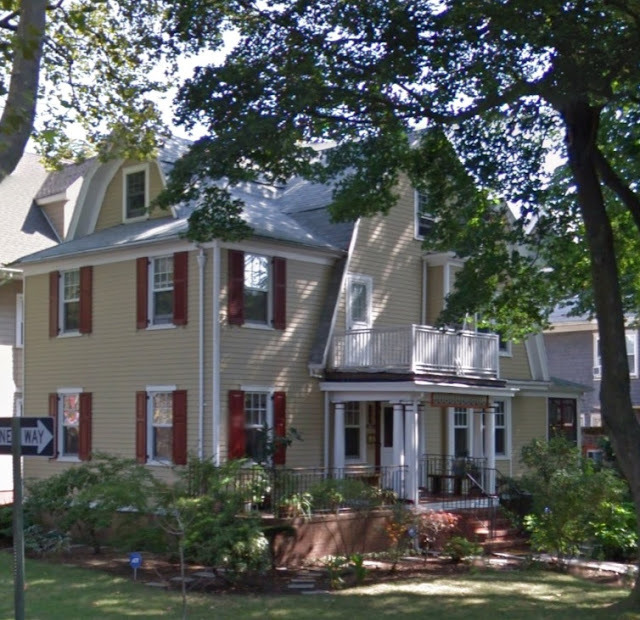 Chris and Elizabeth Speed bought the home in 2009 and renovated some more. The fire damage of September 3, 2015 was extensive but reconstruction is expected to start soon. By now it's probably become obvious that my attempts to replicate the same views of the older photos are mostly frustrated by the incredible foliage that has sprouted up over the years. The houses to the left appear to be in Fiske Terrace and the ones on the far right on Coney Island Avenue. This landscape seems almost barren compared to today's foliage. 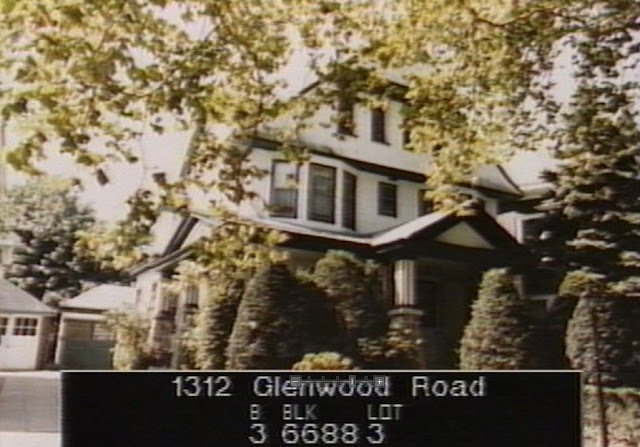 Homes had yet to be built on many of the Glenwood plots. 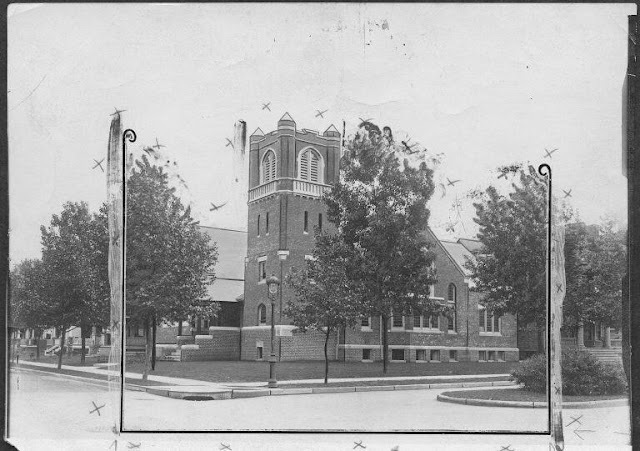 Also missing is the church on the corner of Argyle which would not be built until 1913 (see further below). Both photos above show the Ackerson sales office at the southeast corner of Glenwood and Coney Island Avenue. 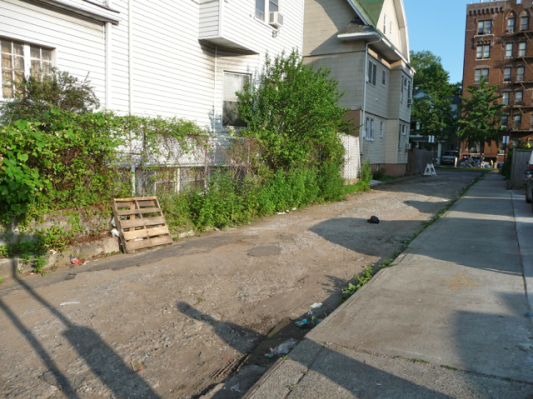 Also visible is a road gang engaged in elevating the roadway of Coney Island Avenue. 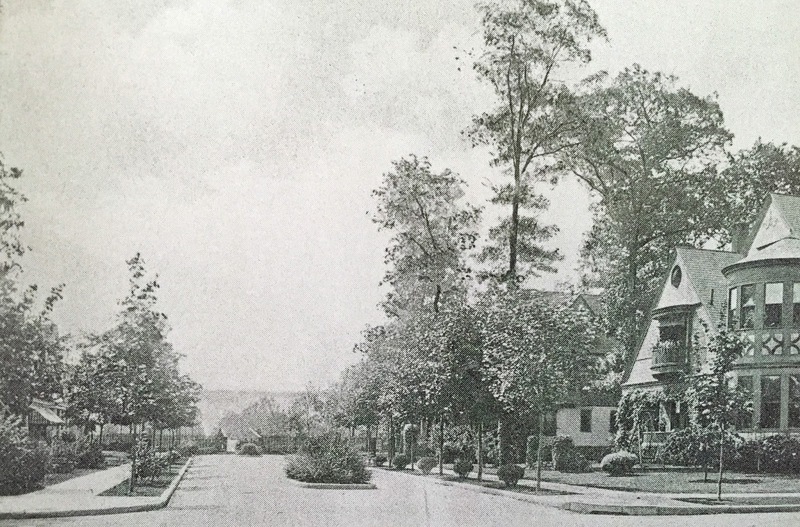 Meanwhile the row of houses on the right in the first photo above are the Ackerson two family homes on Glenwood Road. Above is a contemporaneous newspaper ad by Ackerson referencing the two family homes for sale on Westminster Road, advising buyers to visit his office at Coney Island Avenue and "Avenue G". Unfortunately, the foliage obscures the remaining old stately Victorians beyond the apartment house farther down Glenwood Road. 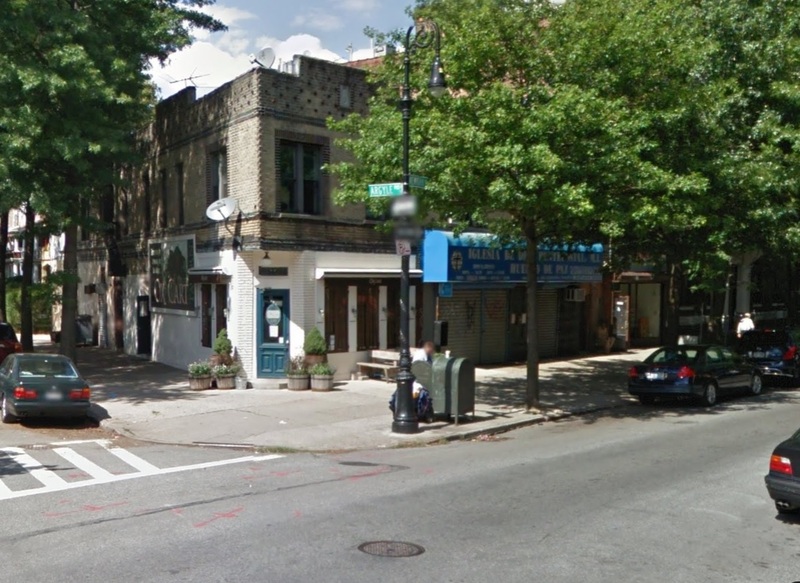 Note the antique store on the corner, one of the last to survive in this area which was once rife with them. 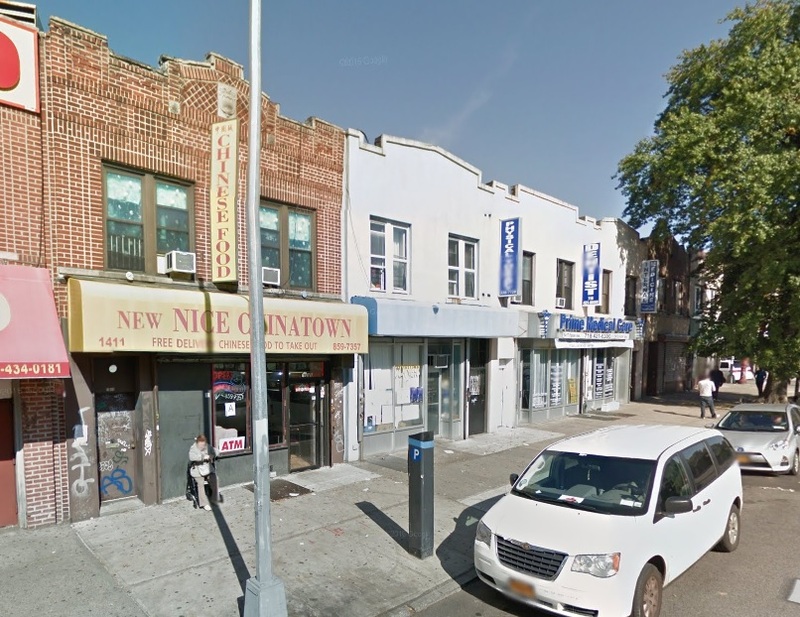 The location is now occupied by a laundromat. 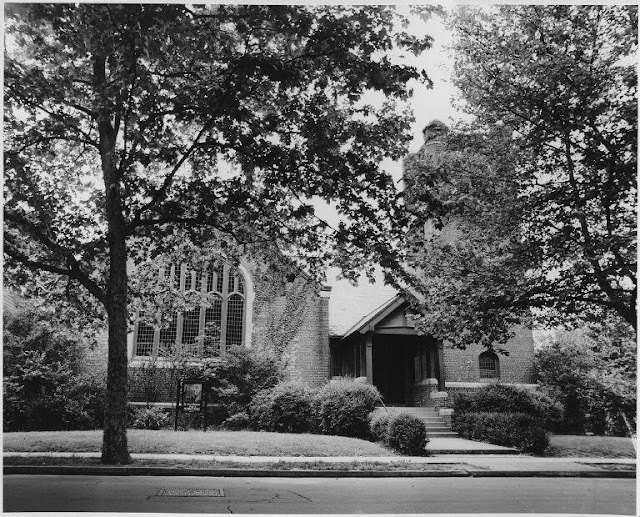 The congregation for the Wells Memorial Presbyterian Church was organized in 1907 and they first met in a tent at Foster Avenue and Argyle Road. 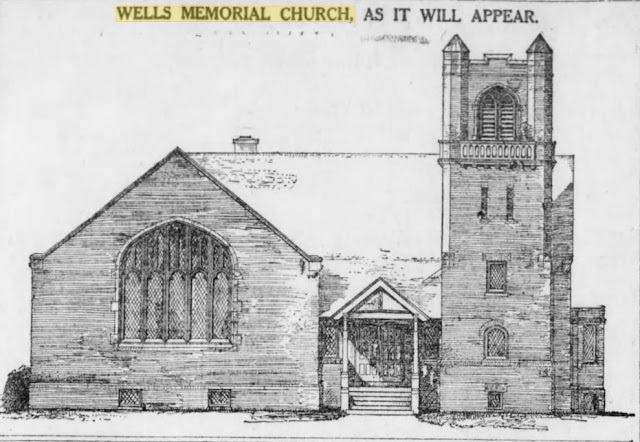 Robert Stokes, a friend of the Reverend John D. Wells, the pastor of South 3rd Street Presbyterian Church at Driggs Avenue from 1850 until his passing in 1903, donated the land, a 100 by 100 foot lot at the corner of Argyle and Glenwood Roads. 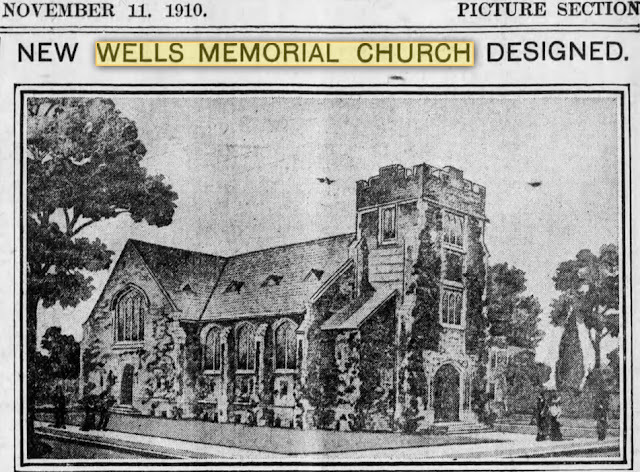 The designs for the planned church underwent some modification over the years as the congregation struggled to raise the $18,000 it would cost to build it. The first design above was described as Tudor Gothic and the design eventually implemented below was described as "modified Gothic". In January 1913 the Brooklyn Daily Eagle ran the photo above, which it captioned "Wells Memorial Presbyterian Church, Glenwood and Argyle Roads" in a story on new Brooklyn churches being built. 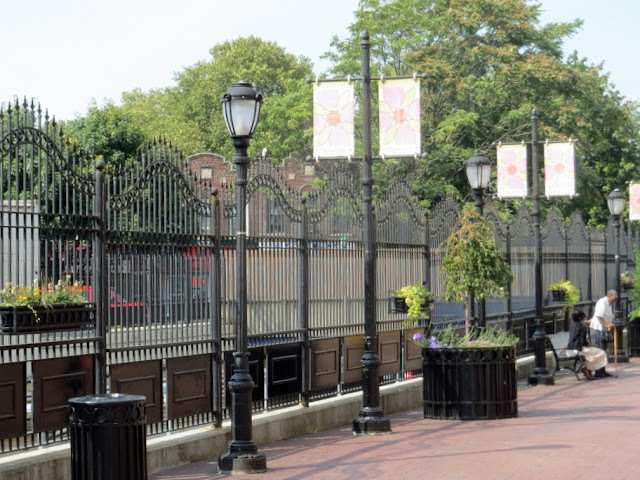 Note the gas lamp which is still standing in the photos below through 1946. 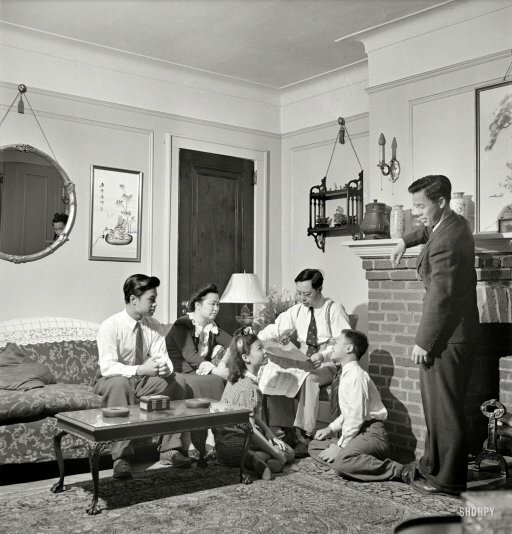 The photo above was supplied by Dottie Wahl, who grew up at 20 Waldorf Court in the 1950s as discussed in our prior thrill-packed posting here. Note another sign indicating services under the large windows. The quaint street lamp is gone, along with the board listing the services (and the little girl). The Church of Jesus Christ of Latter Day Saints has worshiped here for more than 30 years. 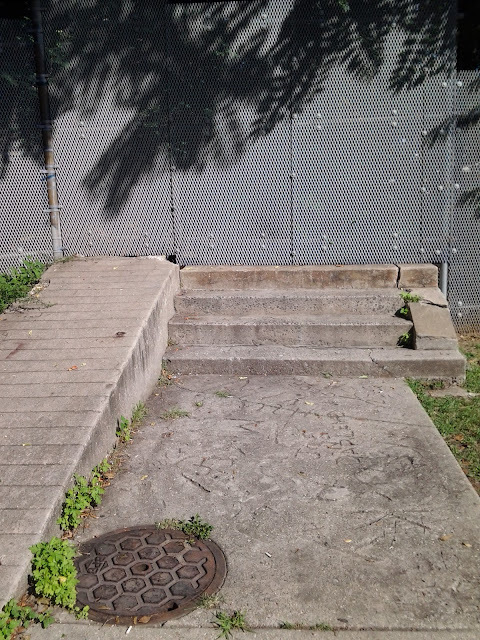 A fence has been added along with a ramp for accessibility. And Argyle Road is still one way. 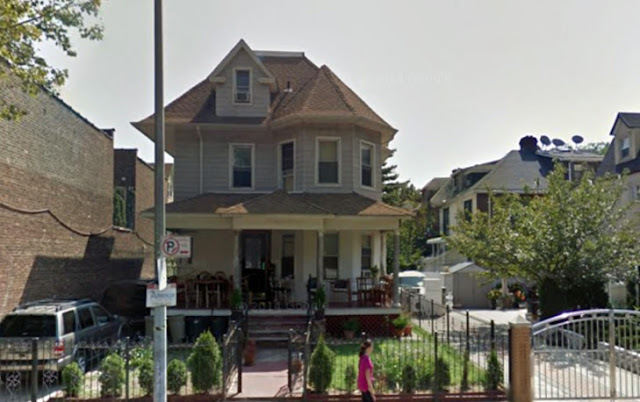 According to various musty old records, the house was "built" in 1905 by the semi-famous John R. Corbin (see my homage at the end of this post) in his factory along the LIRR tracks at Flatbush Avenue and Avenue I (he would later move to Mill Creek where Kings Plaza stands today). 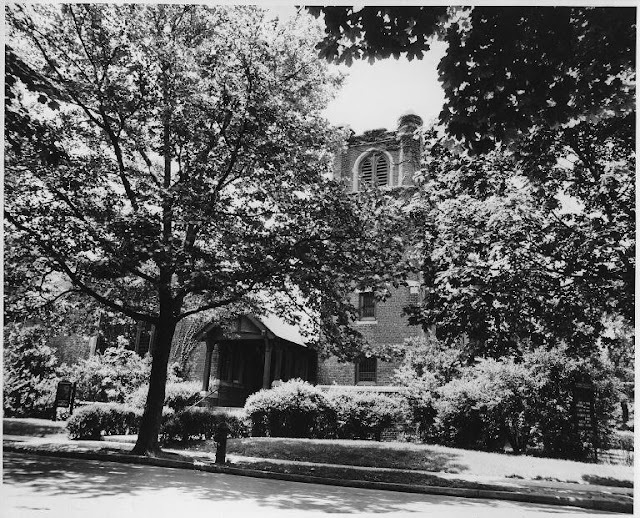 The house was then assembled on site in the Spring of that year. Or as Corbin wrote in a contemporaneous promotional brochure: "...frames and beams, interior trim, [and] mortise and tenon work of Corbin Houses are accurately cut to scale … then conveyed to the site of building, ready to go into place, without readjustment or alteration." 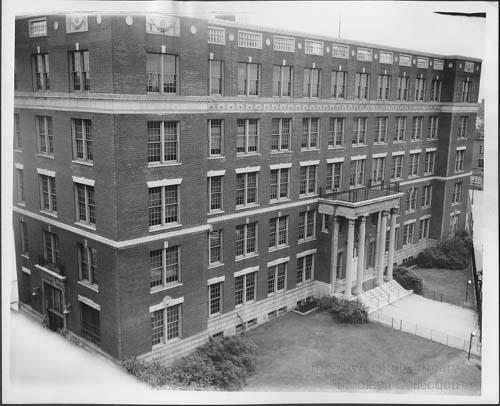 A Certificate of Occupancy was issued by the Buildings Department on May 5, 1905. 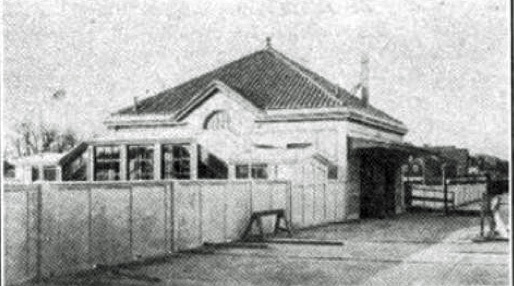 It is believed the porch was enclosed around the same time the garage was constructed, in May 1914. None of the homes in the neighborhood were built with garages or stables - it was that brief interregnum in urban history when horse transport had given way to electrified trains for the transit of the masses. Then on December 1, 1913, Henry Ford's assembly line started rolling and everybody wanted a car. Particularly West South Midwoodites because the transport provided by the Brooklyn Rapid Transit Company via the Brighton line was terrible. 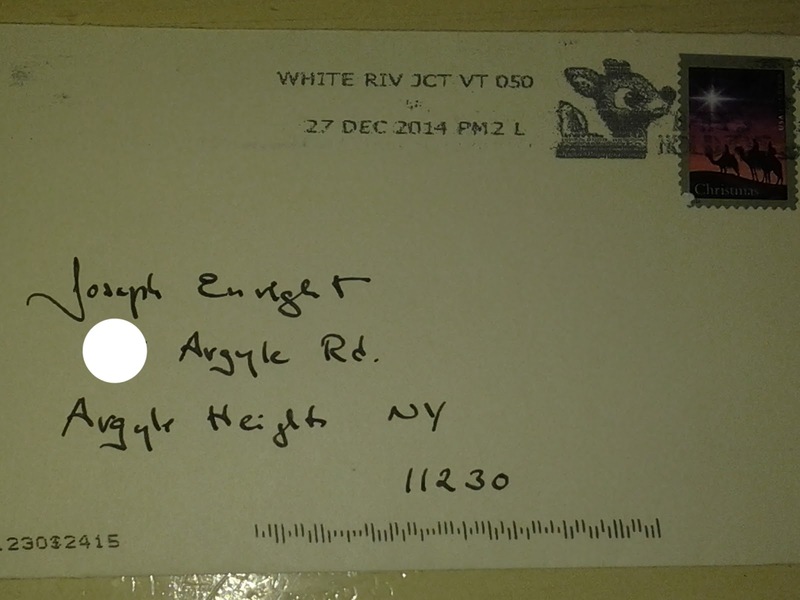 You can order a photo of any address from the NYC Department of Records HERE. 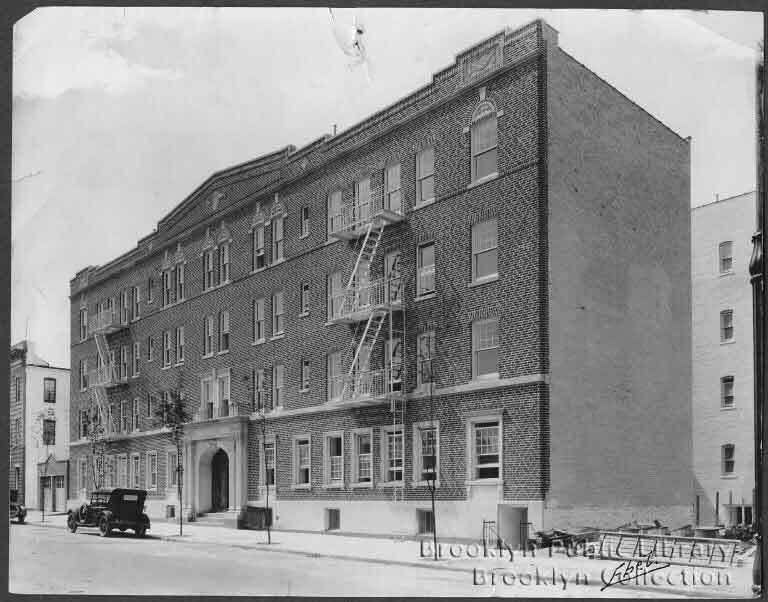 They have photos taken by the NYC Department of Taxes from 1939 to 1941 of every building then standing in the City, funded by a public works New Deal program. Prices range from $35 to $50 depending on the size of the print. 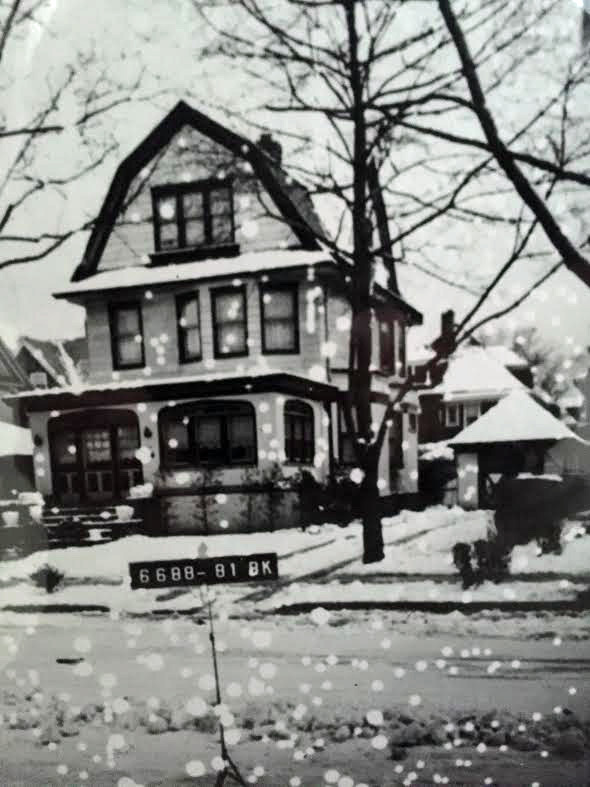 In the photo above, the "redox" blemishes (which look like giant snowflakes, caused by deterioration of the original nitrate negatives) look less annoying because the picture was taken on a snowy day. 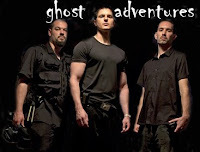 Photo above obtained on line. Notice the thin oak to the left of the front door. Today it is MASSIVE. 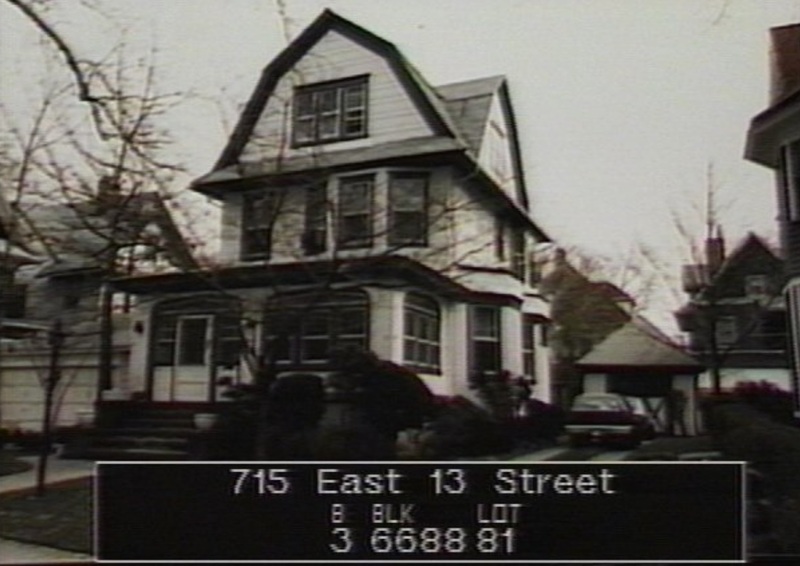 Photos of every NYC structure were taken during the 1980s by the NYC Department of Finance to tax us better and are available HERE. Viewing is free. Copies may be ordered for $40 to $60 depending on the size and color. 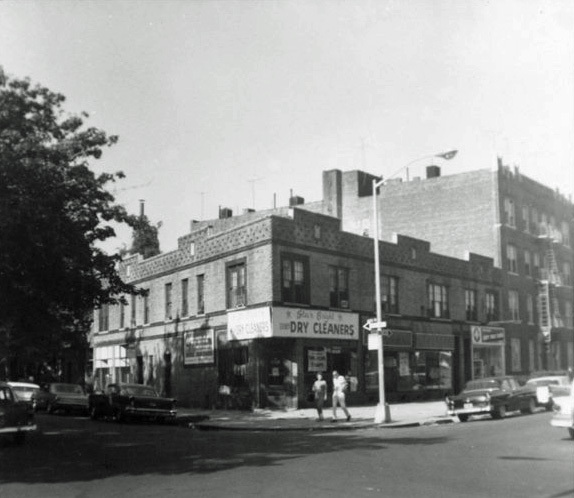 The caption for the photo indicates East 13th Street, the original name of Argyle Road when it was first added to the street grid per a law enacted for Kings County by the NYS legislature in 1869. 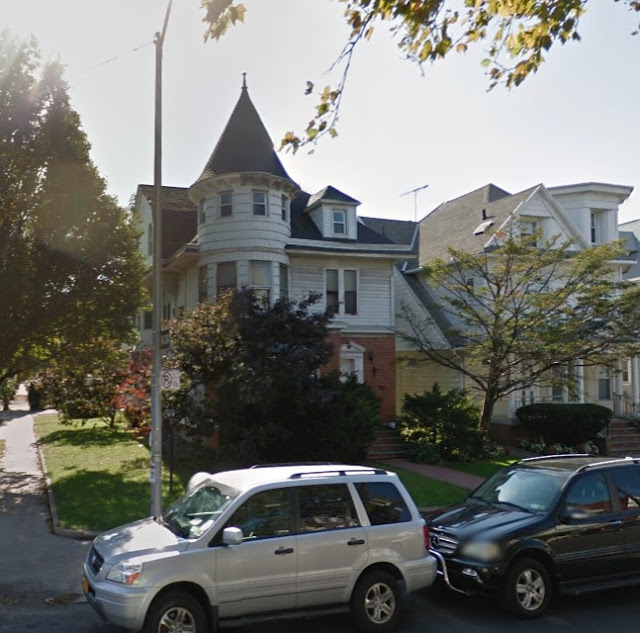 Anglophilia developers got politicians to change all the Victorian Flatbush street names in the first years of the 20th Century. 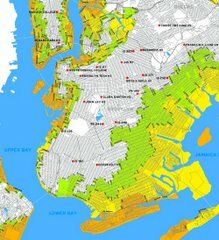 But, government finding it hard to actually change things, the Building and Finance databases still reflect the street grid as of the 1898 consolidation of the five boroughs into the City of New York. windows on the porch were replaced, followed by 15 more in the following years until the Great Recession descended on our 401Ks. The replacements all retained the original style because let's face it, we have such great taste. The exterior of the station house was designated a landmark in 2004 by New York City. 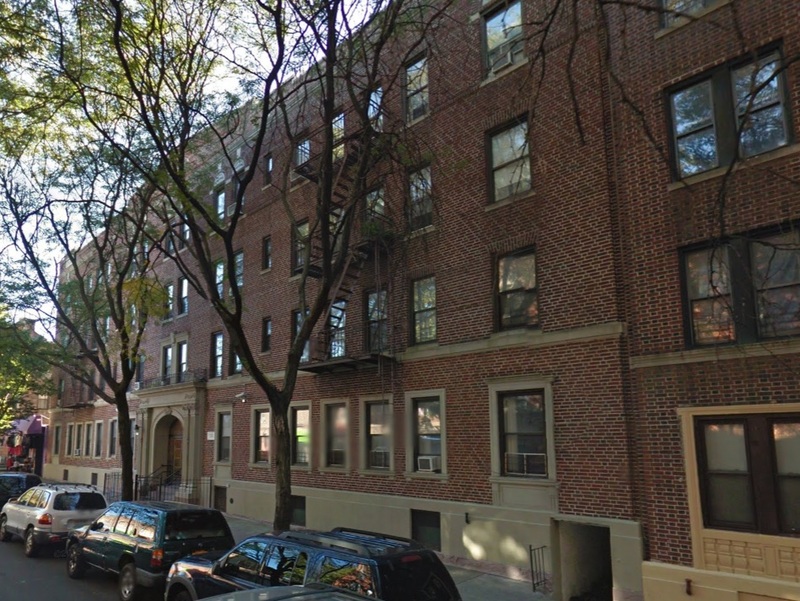 It sits in Fiske Terrace with a street address of 802 E 16th Street (aka 1518-1524 Avenue H). 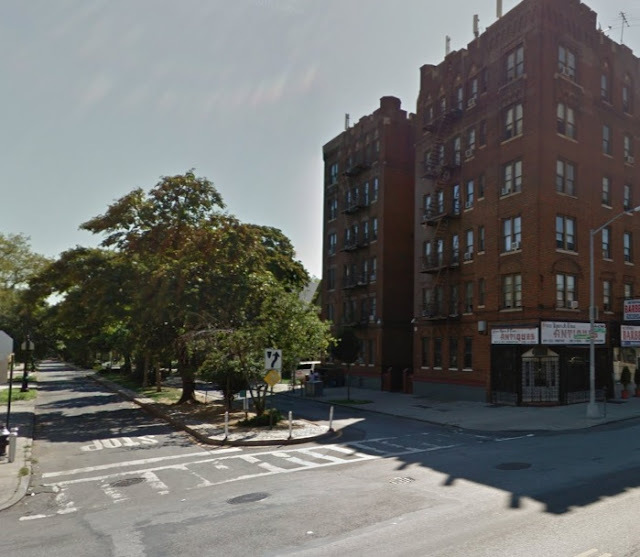 Per the NYC Landmarks Commission 2008 Designation Report for Fiske Terrace: "Fiske Terrace takes its name from George P. Fiske, an oil merchant, who acquired several large parcels of land there in the early 1890s. 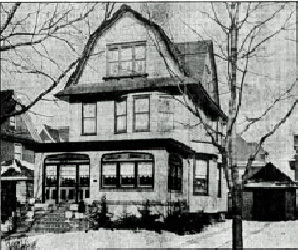 In 1905, Fiske, his wife, and his brother sold Fiske Terrace to the T.B. 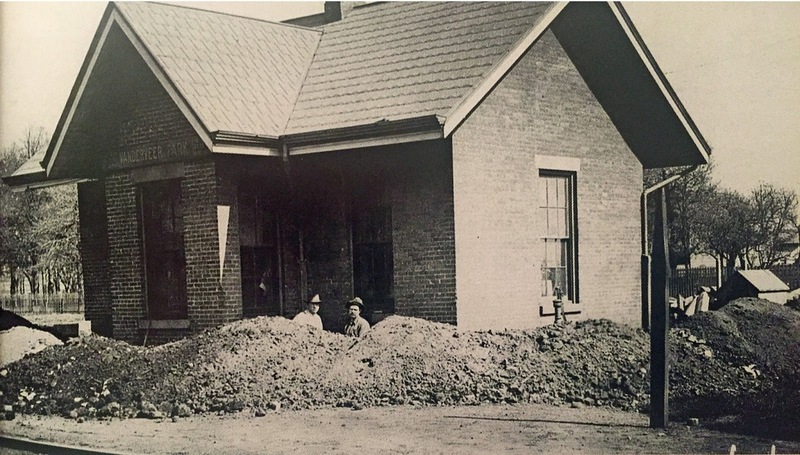 Ackerson Company, which paved its streets, installed sidewalks, utilities, and landscaping, and built approximately 50 houses within a matter of months." The sign above advertises 413 lots for sale by George Fiske, and was thus erected prior to T. B. Ackerson's 1905 purchase of those lots. The photo derives from Ackerson’s real estate brochure: depicted alongside a horse-drawn carriage, the station was criticized for “its primitive condition.” The view above is from West Midwood -- the west side of the Brighton line at Avenue H, which had just been electrified for trolley cars. 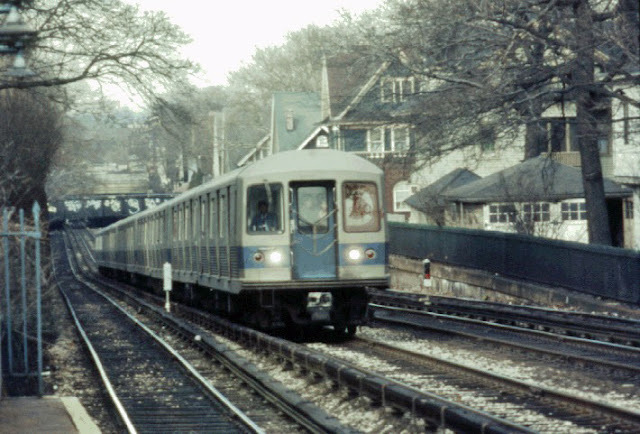 The line ran along the surface from Prospect Park to Brighton Beach. 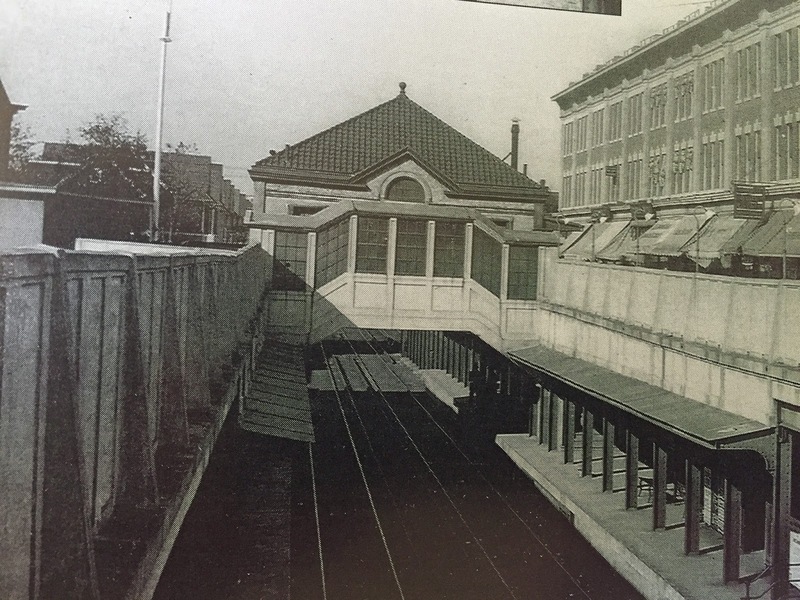 In 1900 electrification allowed the cars to ride elevated tracks at Prospect Park (along the route of today's Franklin shuttle) that linked to the Fulton El at Franklin Avenue and thence over the Brooklyn Bridge to Park Row. 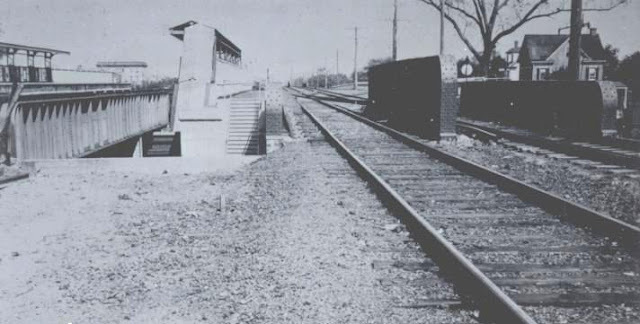 The line was below grade at Avenue H. Thus, as a result of the 1904-1908 grade crossing abolition project, the Avenue H tracks were elevated to allow the LIRR to pass underneath and to create a pedestrian walkway underneath the station - but no cars. 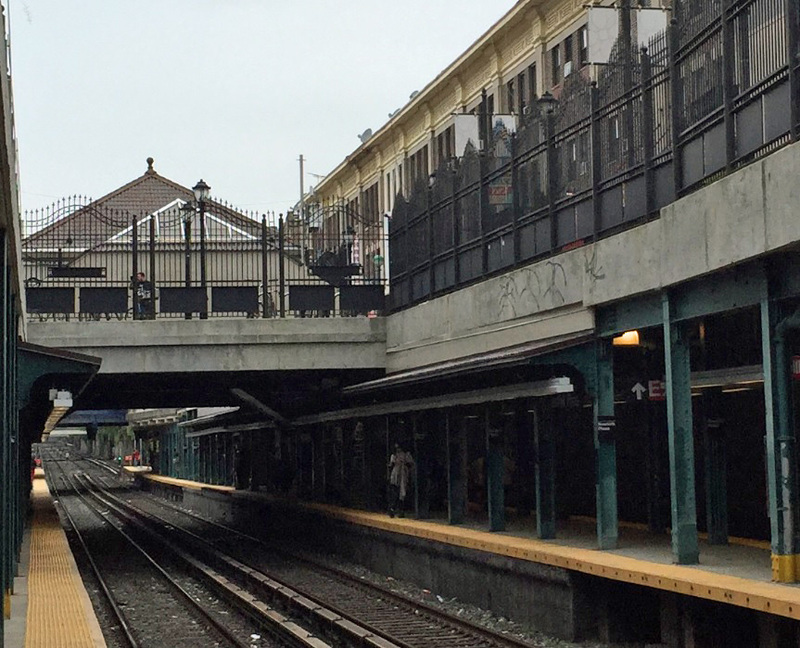 The Commission over-rode the desire of the railroads to elevate the line through Flatbush, bowing to the protests of the inhabitants of this new suburb. 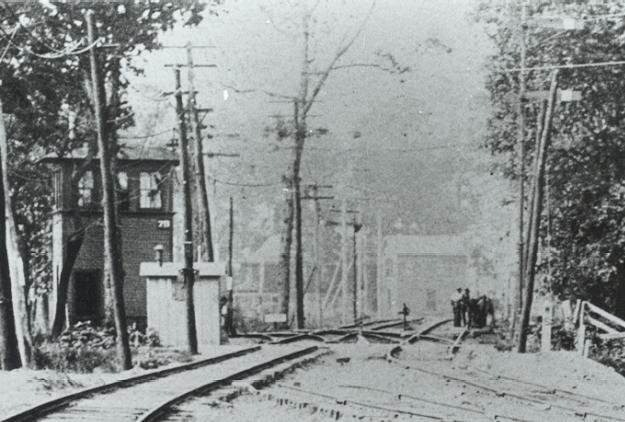 As far as I can tell, the photo above is looking north along the Brighton track bed with the Avenue H station at the photographer's back. 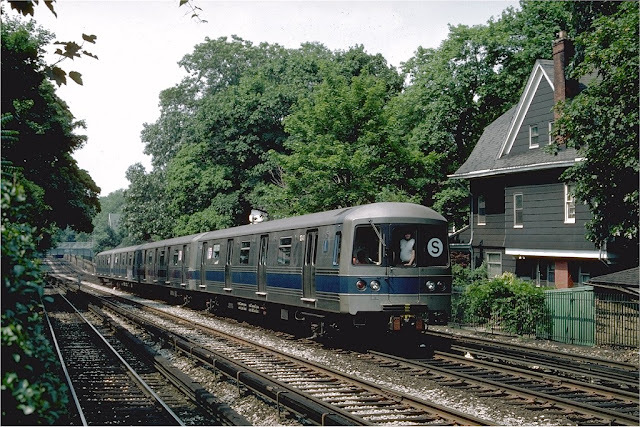 The LIRR Bay Ridge Division passes over via a bridge. 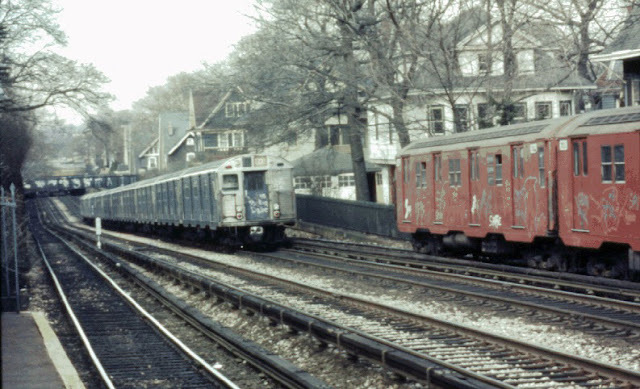 As a result of the Grade Commission's work (more on that below), the LIRR was depressed and the Brighton line passed over it some four years later. 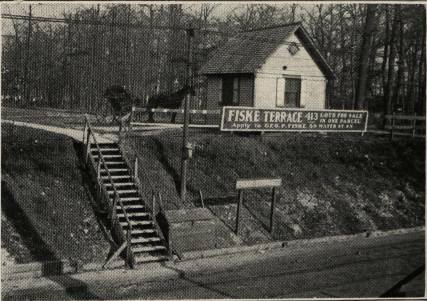 The Fiske Terrace station house visible on the far right in the photo above appears to have been abandoned as workers erect a grand sales office for T. B. Ackerson who would reside in Fiske Terrace for many years. 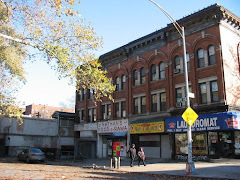 for Fiske Terrace above its porch and the address of Ackerson’s headquarters, 140 Nassau Street...Within approximately a year of its opening, the building had outlived its function as a sales office." 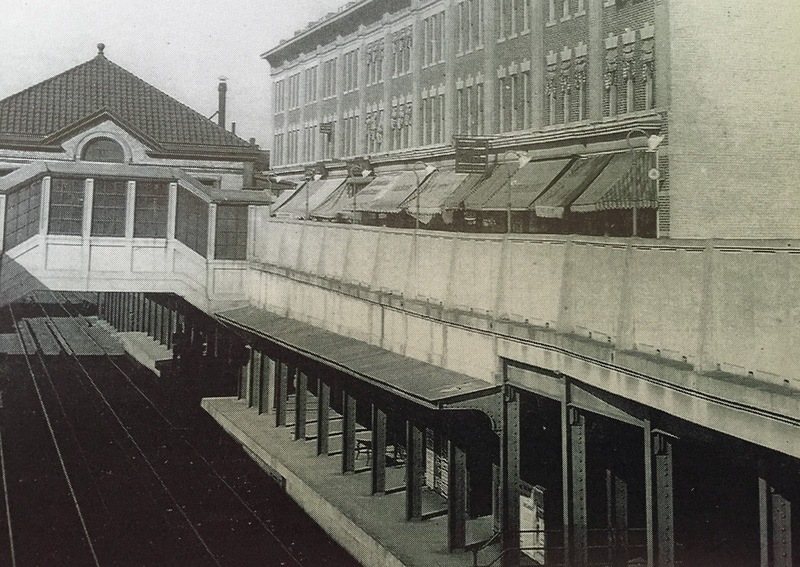 On August 23, 1907, the former real estate office debuted as a transit station. The station is remarkable both for its porch-ringed cottage and for the dramatic topographical transition that trains make there. North of Avenue H, wealthy Flatbush homeowners fought in the early 1900s to have the line dug below grade. 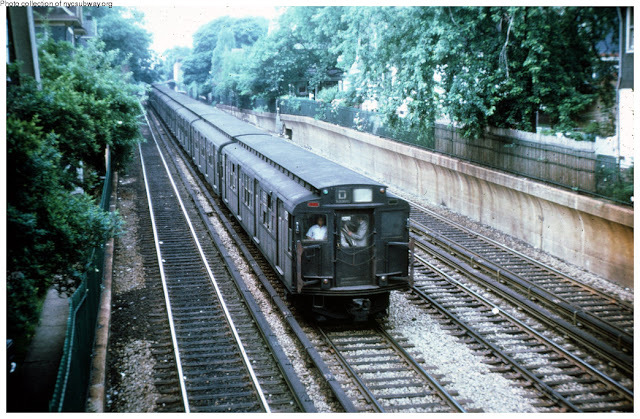 South of Avenue H, trains run on an elevated embankment that stretches to the Brighton Beach terminus." In the photo above, the former Ackerson sales office is visible on the far left and the existing but long-abandoned substation on East 15th Street, just south of the LIRR cut, is on the far right in the background. 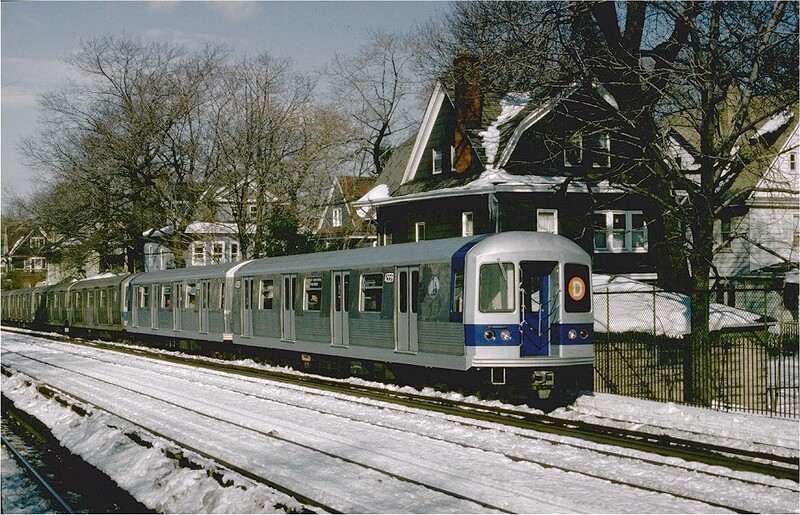 The Brighton line is still operating on just two tracks and no third rail has been added. 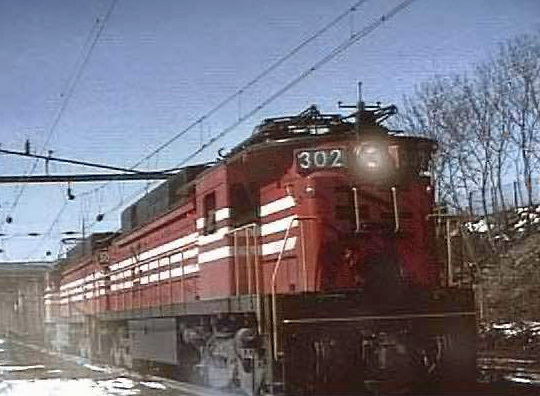 Overhead lines tethered to the top of the cars provide electric power. 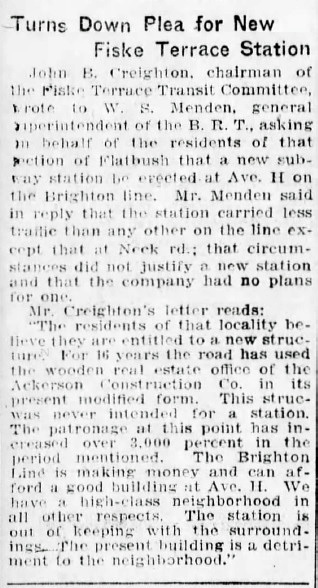 As of the date of this January 1923 letter from Fiske Terrace residents, the Brighton line had used the Ackerson sales office for 16 years, but this building "was never intended for a station" and "is out of keeping with the surroundings. The present building is a detriment to the neighborhood." My, my, my, how tastes do change. Quoting from the Landmarks Designation again: "From 1922-1940 this was part of the Brooklyn-Manhattan Transit Corporation, or BMT. In 1940 this line together with the Interborough Rapid Transit were merged with the municipally owned Independent subway to form the city’s public transportation system. 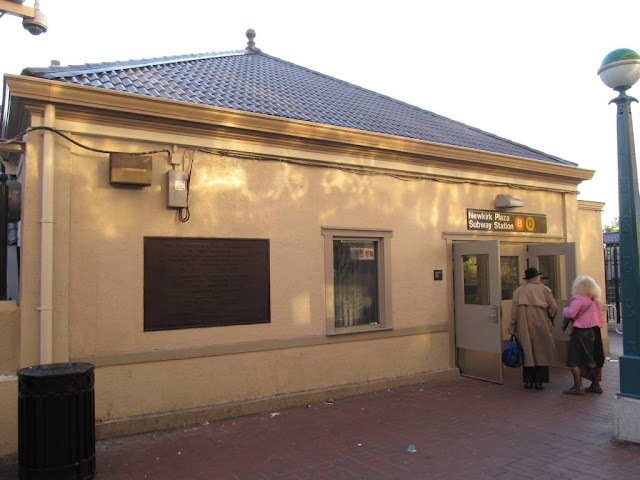 Now run by the Metropolitan Transit Authority, the Avenue H station house serves the Brighton line and is a stop on the Q train. Each weekday, 2,522 riders stream through Avenue H’s turnstiles, and 790,631 passengers use the station annually." A train rolled in as I took this shot inside the Avenue H station and my camera shook. So sue me. Note the center chimney, part of the original design. 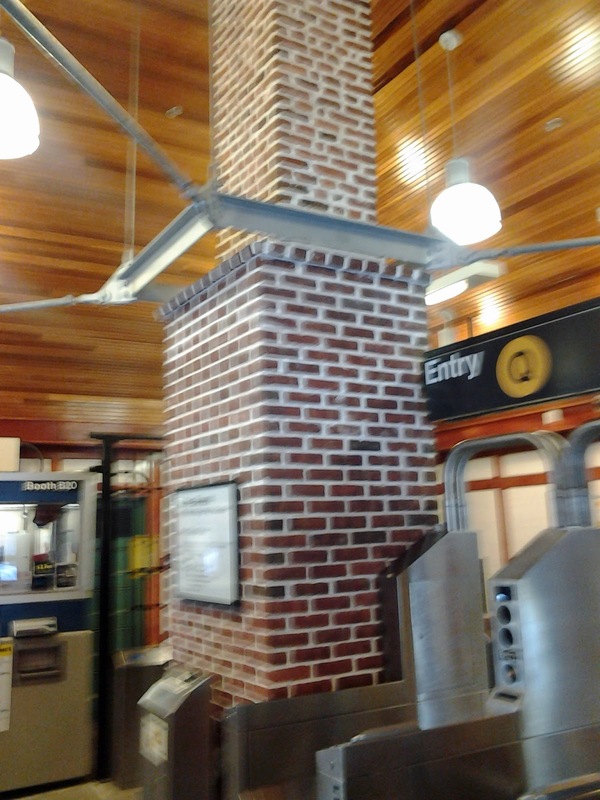 2016: The Entire Ave H Station was Refurbished in 2011. 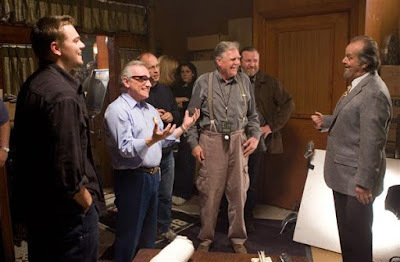 This is one of my favorite photos. Makes a nice Christmas card. 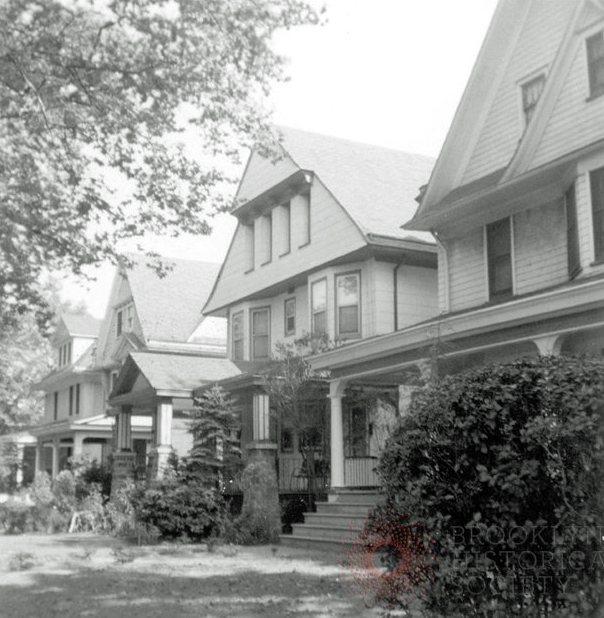 The houses on the right in both photos above are in Fiske Terrace. The view above is looking south from the northbound platform. 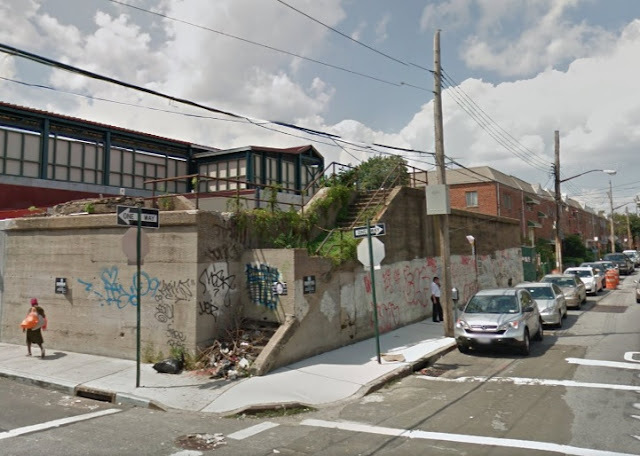 The substation building on the far right is an abandoned eye-sore today on East 15th Street bordering the LIRR cut. 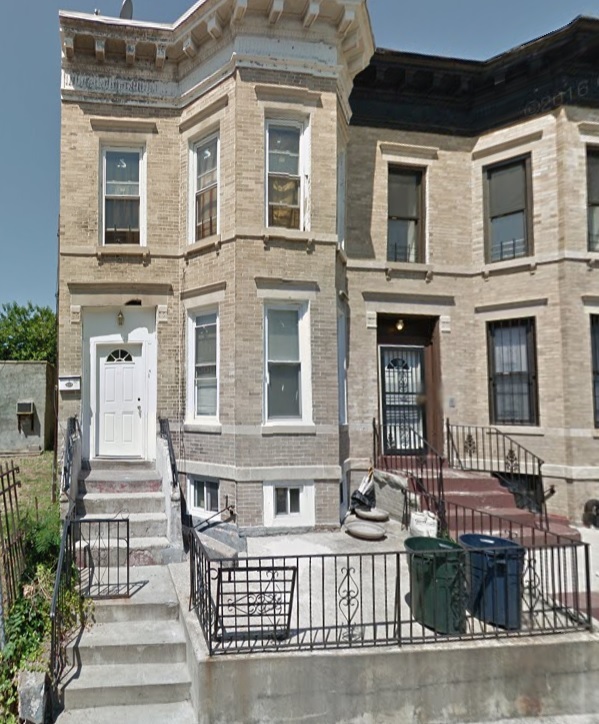 In both of the photos above, which are looking northwest, the white Victorian house in the center is the rear of 36 Wellington Court in West South Midwood. 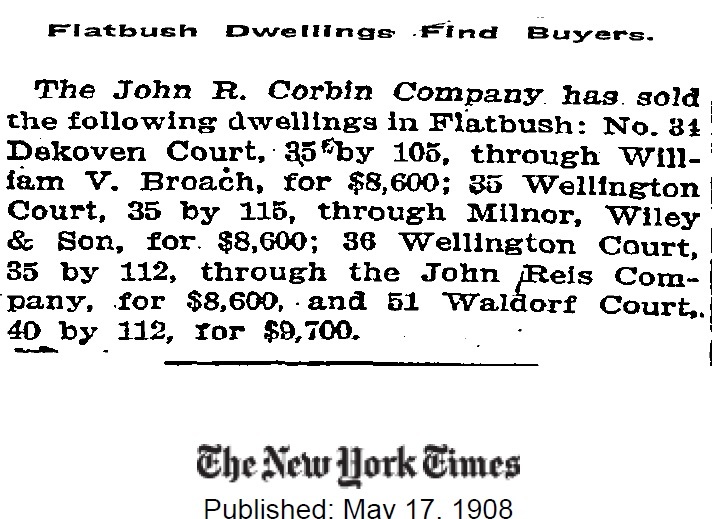 The house was built by John R. Corbin and sold for $8,600 per a New York Times notice on May 17, 1908 (see way below in the section on Corbin and Ackerson). It looks little changed over the past 52 years, aside from an air conditioner, per the photo below which I took from the same vantage point. 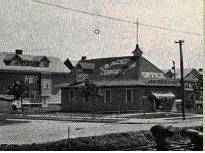 The site of what would become the Kent Theater when it opened two decades later is on the left. 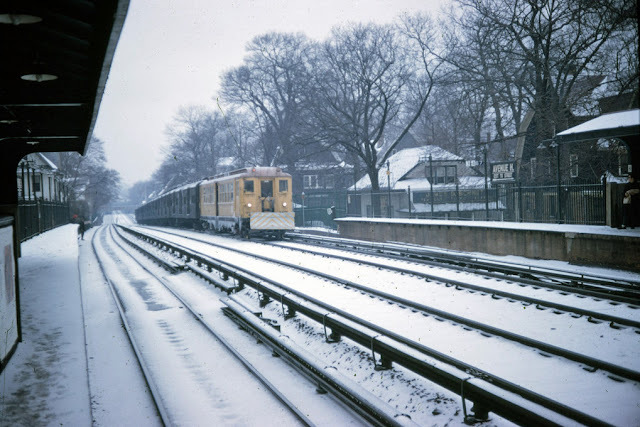 This photo was taken just before the Bay Ridge Division line (barely visible at bottom of photo) was depressed under Coney Island Avenue. The tracks running north were for the Coney Island Avenue trolley. 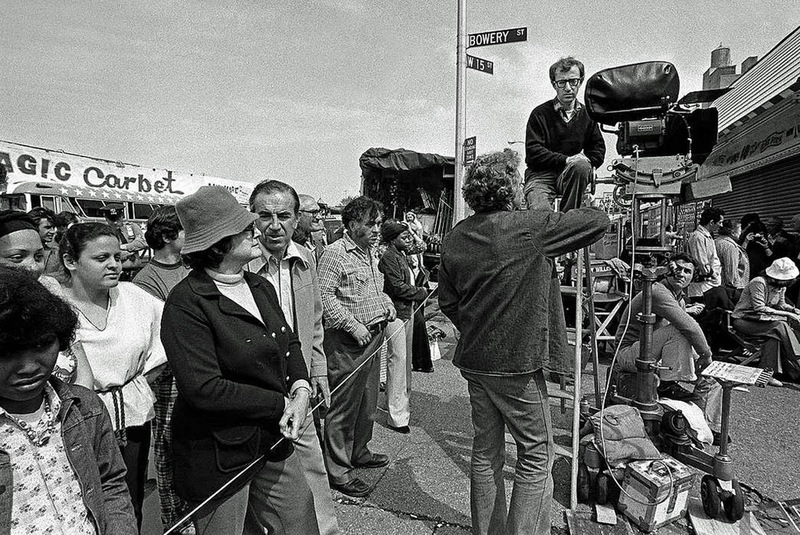 Woody Allen rented the Kent in 1984 to film "The Purple Rose of Cairo". Here are some interior shots that date to a time when the theater was not yet divided into multiple screens. The Kent had a sister theater a few blocks away, on the east side of Coney, a little north of Newkirk, called The Leader. Both theaters were owned by Leo Storch. As TV began to make inroads into attendance in the 1950s, Storch teamed with a Manhattan inventor, Murray Kay, to implement a gimmick to boost sales. It was a long ticket that was time stamped when you entered and left the theater by a "special clock" invented by Kay. If you left before the show was over, you got a 20 cent credit on any other day you returned to the theater and presented that ticket. 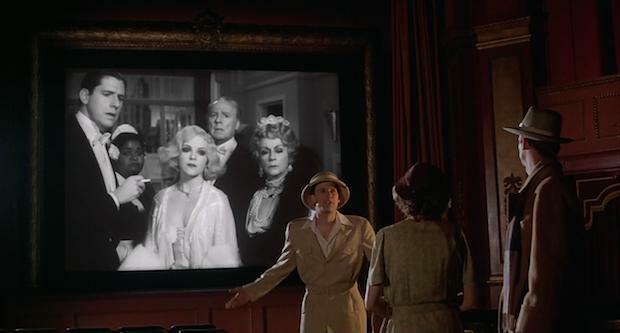 Storch and Kay called it "Part-O-Show." 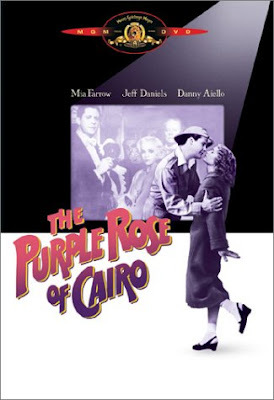 Storch told the Brooklyn Eagle he was often asked by movie goers whey they had to pay for a double feature when they only wanted to see one of the films. "Before Part-O-Show, I really couldn't give a satisfactory answer," Storch exclaimed. Then, Eureka! But "Part-O-Show" went the way of the Edsel. Frustrated by its lack of success, Storch launched another campaign: if you attended the Kent or the Leader, you would receive a volume of an encyclopedia "for the price of a ticket and a small service charge." 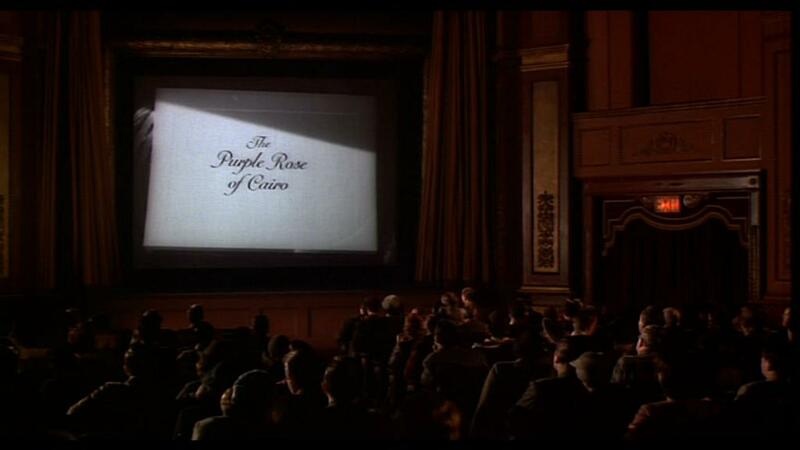 Storch claimed that if you attended his theaters for 12 consecutive weeks, you would have assembled a complete set. The photo above and the one below were dated by looking up the release dates for the Ginger Rogers and Jimmy Durante movies displayed on the marques. The Leader closed in the early 1960s, replaced by a bowling alley. 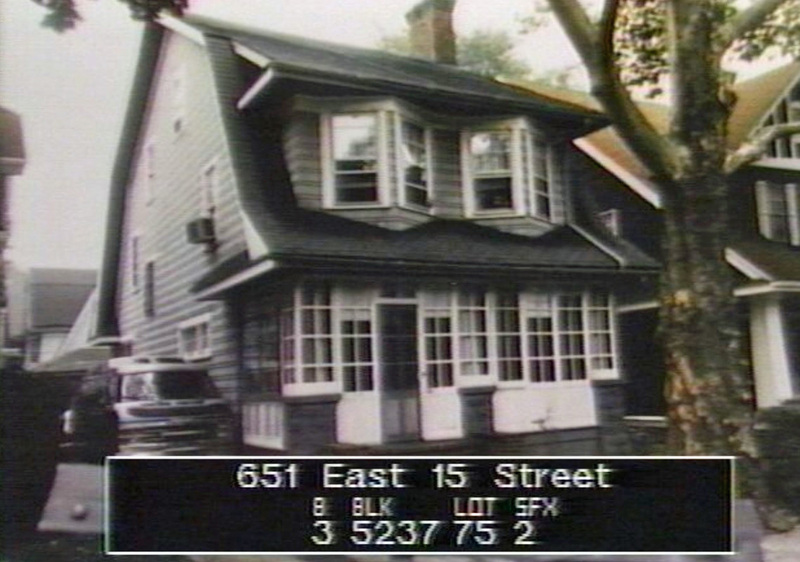 In the early 1990s "Videomania" occupied the space. It was a huge video tape rental store. Many's the time I would spend debating with my family which VHS we would watch that night as we browsed the large selection. 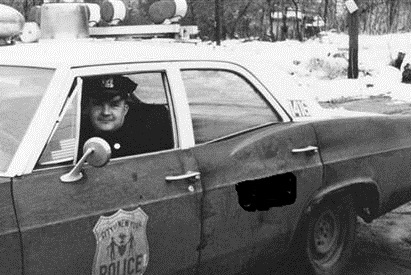 The memory that stays with me the most however was the time I asked the clerk behind the counter to look on his computer to see if he had The Boston Strangler." "OK," he said, somewhat bored. "Spell that." So I replied: "S-T-R-A-N-G-L-E-R." He looked at me, annoyed. "No, no, I meant spell Boston." I have posted this photo before to contrast it with 2016. But the photo below adds more perspective. 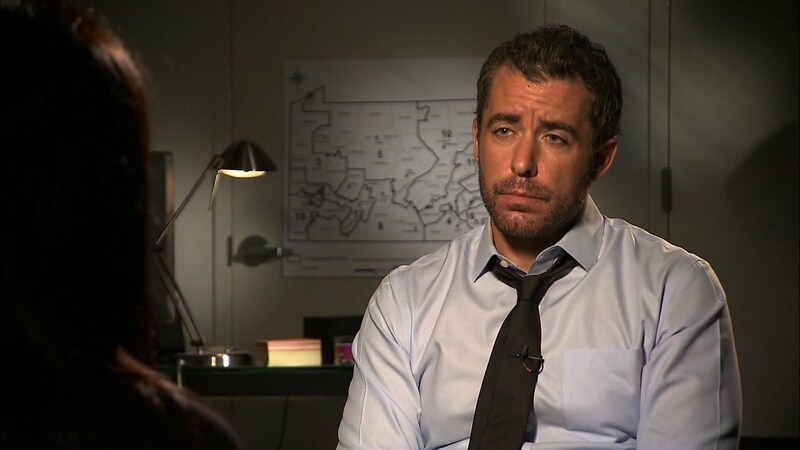 Notice "Nathan's Food-o-Rama" on extreme bottom right. It would still be there 40 years later (below). Nathan's is now Harry's. Still a deli, though. 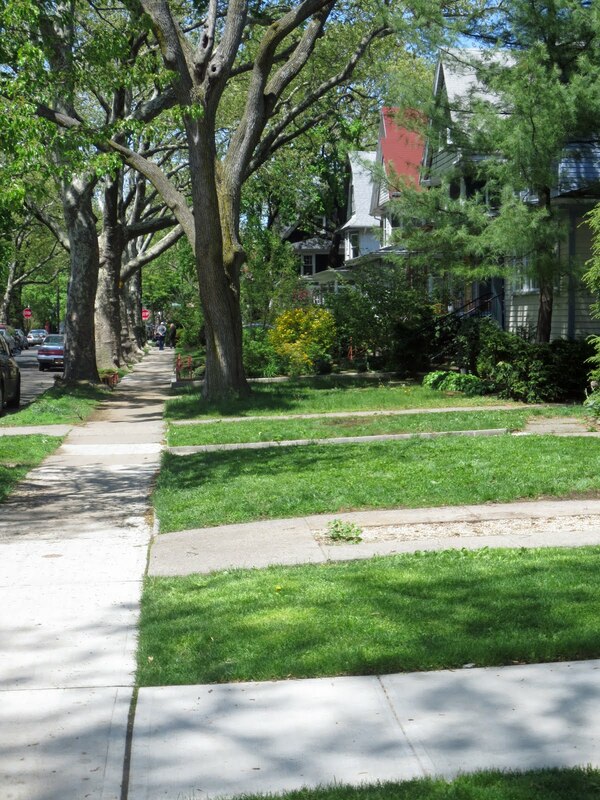 OK, OK, so this is Fiske Terrace, not West Midwood, but I included them because a lot of us are constantly walking/jogging/biking/driving past these places. Photo above is looking east toward East 17th Street. The photographer's back is to the Brooklyn Rapid Transit (BRT) station at Avenue H. Note the sign on the mall warning flower pickers to keep their hands off the merchandise. 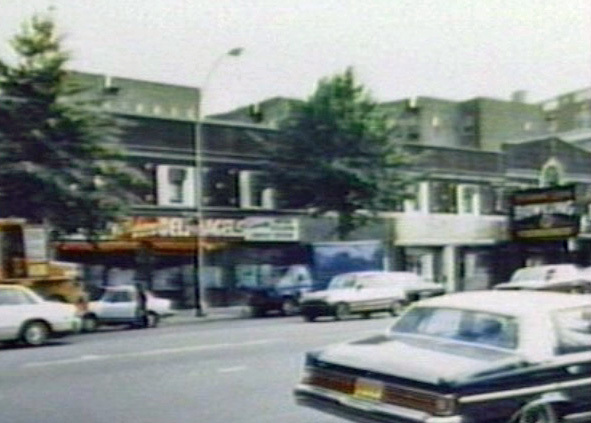 The photo above and the one before it depict a portion of the Flatbush Malls which sadly no longer exists. This is T. B. Ackerson country (see my homage to "T.B." at the end of this post). Note the same sign in the extreme lower left warning flower pickers again. 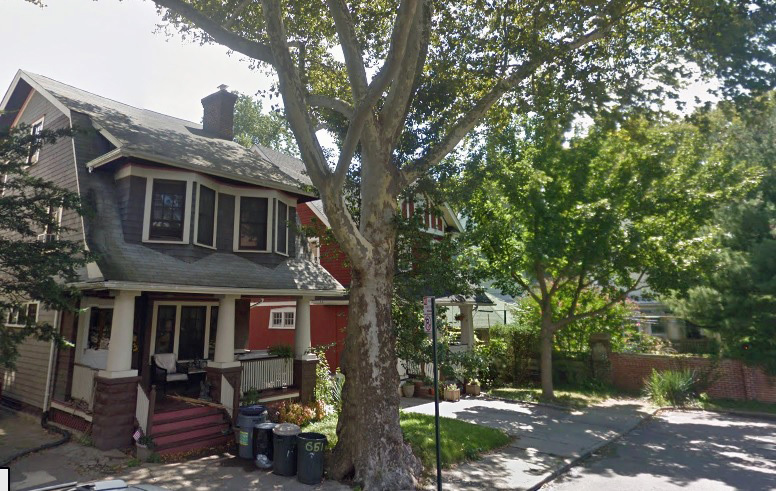 This portion of the Mall in Fiske Terrace is beautifully shrouded in large trees. Much nicer front yard today. 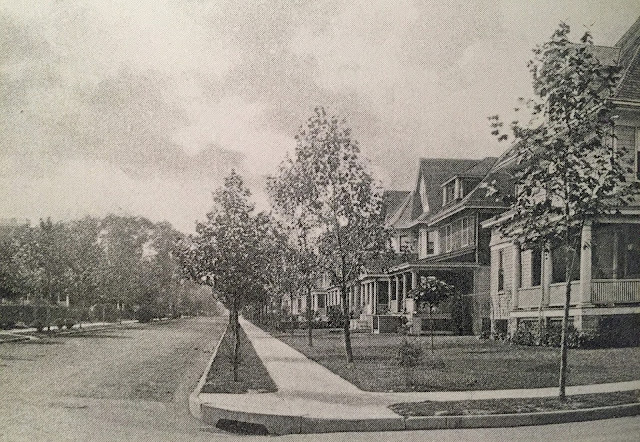 The photo above is looking southeast on Avenue H from East 12th Street (aka Westminster Road) toward East 13th Street (Argyle Road). 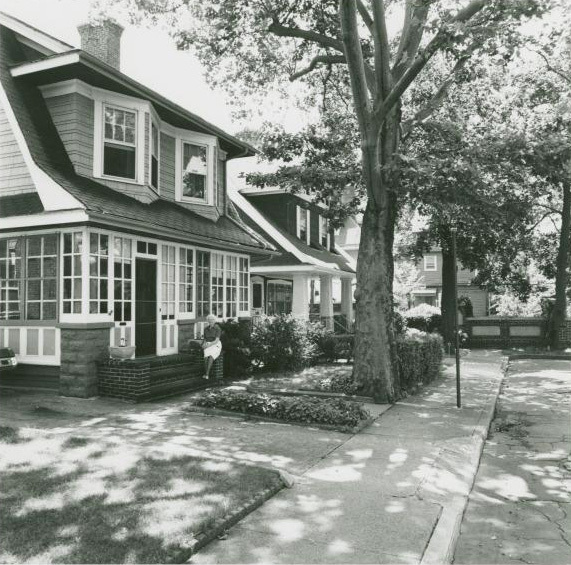 The side streets south of Avenue H were developed a few years earlier than West South Midwood as part of "Oak Crest". 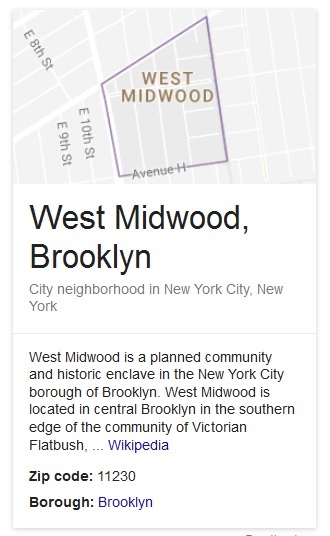 The developer apparently never bribed the local Alderman to have the City change the street appellations from drab numbers to the Anglophile names then all the rage in Victorian Flatbush. 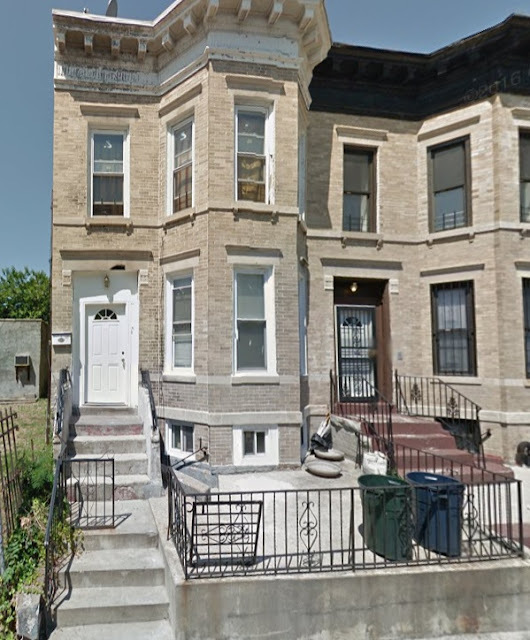 It appears very little has changed in 53 years, aside from a masonry wall replacing the hedges of the house on the corner of East 12th Street, which is nicely offset by a very green front garden. This house, east of Rugby Road on the northeastern end of Glenwood, is right above the Brighton cut. There appears to have been roofing work going on the day this picture was taken, on the western side of the roof (note the ladder). 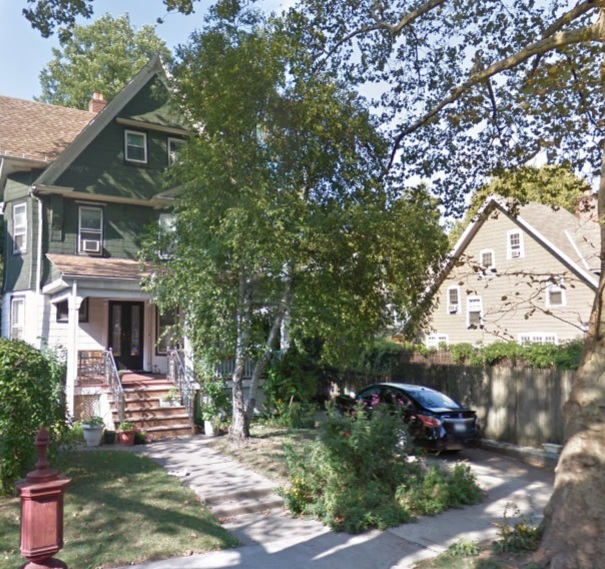 The beige house on the far right is on the east side of the Brighton cut in Midwood Park and will figure prominently in the photos that follow in the next section below. 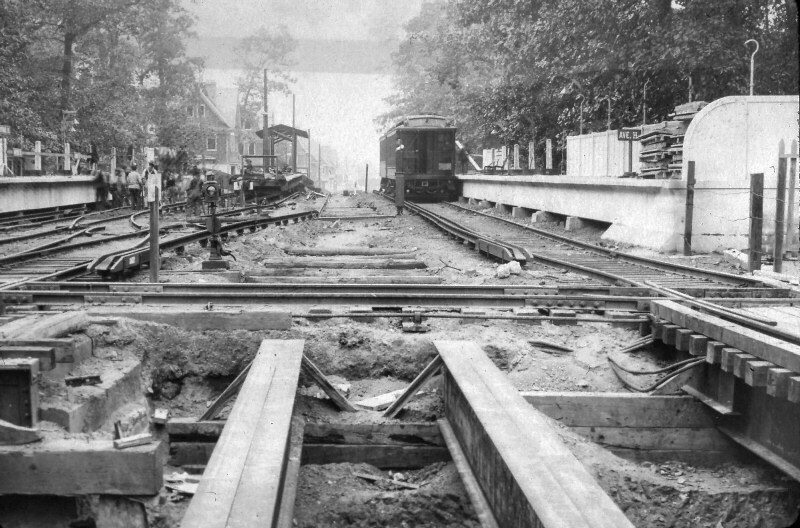 1911: Times Captioned This "Brighton Beach Line Oak Crest"
The photo above, published by the New York Times in 1911 to accompany a story about soaring real estate prices in Oak Crest and Flatbush, depicts a four track stretch of the Brighton line but there's no retaining wall and no trench. The only stretch that would seem to fit would be from Waldorf Court to Avenue H. For more on Oak Crest, a neighborhood designation lost to history, extending from the south side of Avenue H to Avenue J from Coney Island Avenue to Ocean Avenue, see our earlier discussion here. Houses on left in photo above extend from Dekoven Court, far right, past Glenwood Road (where the steps of the footbridge can be seen) and Waldorf Court to Wellington Court, far left. House on the far left in the winter photo above is on Glenwood Road in Fiske Terrace, aka the other side of the tracks. 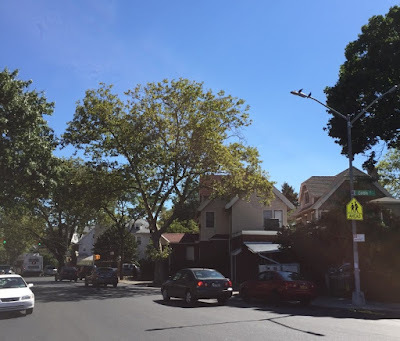 For those uninitiated in the historic Flatbush districts, Glenwood Road is the dividing line east of the Brighton line: north of Glenwood is Midwood Park and south of it is Fiske Terrace. 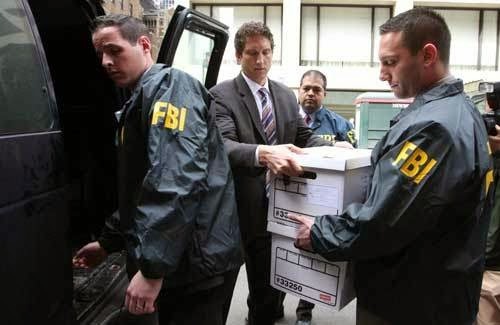 It's deja vu all over again! Photo above was taken from the same position on the footbridge as the 1963 photo, but with a wider focus and in living color. 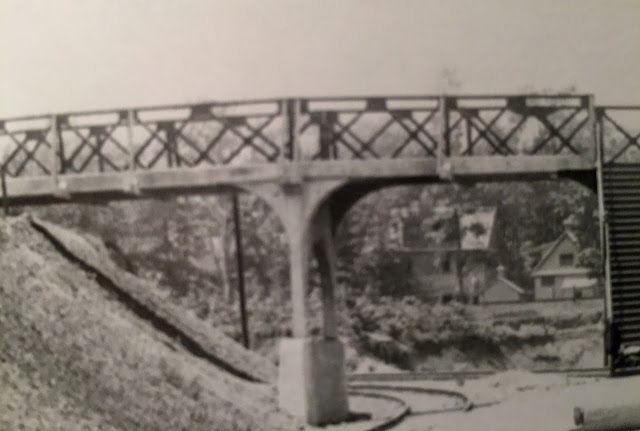 The express in the photo above is approaching the Glenwood Road footbridge visible in the top left right. Photo taken from edge of the northbound Avenue H platform. 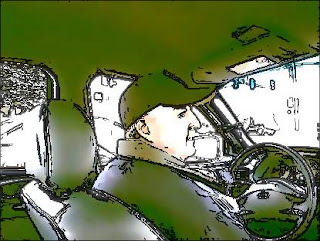 Southbound express. 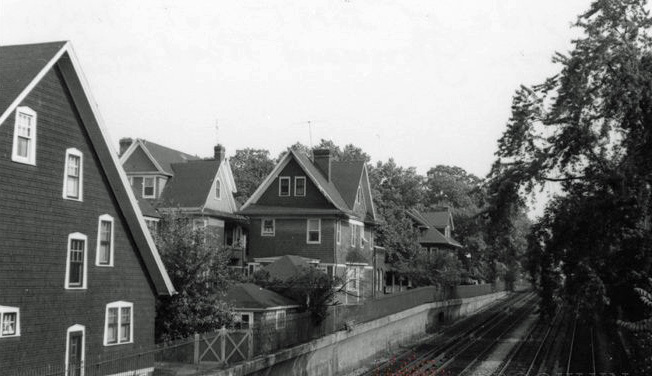 Photo taken from the top of the staircase on the West South Midwood side of the footbridge. Midwood Park on the right. 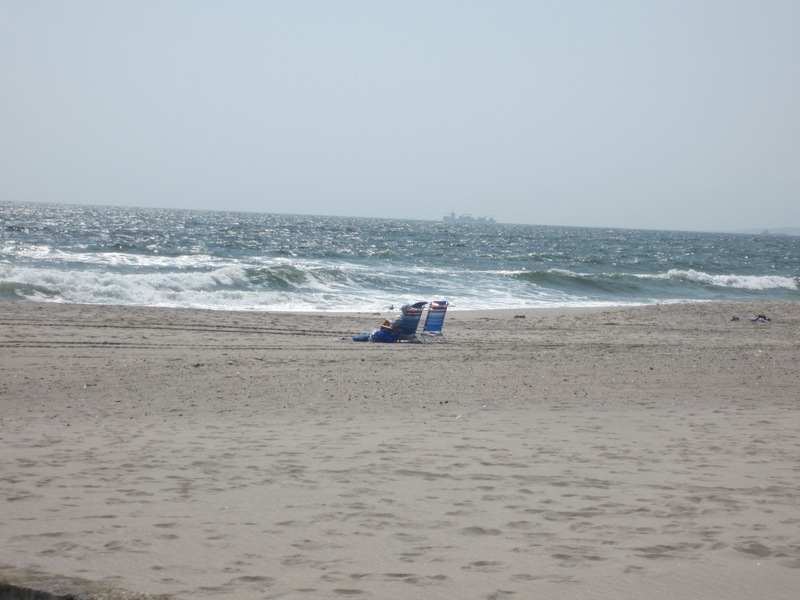 Headed for Brighton Beach. 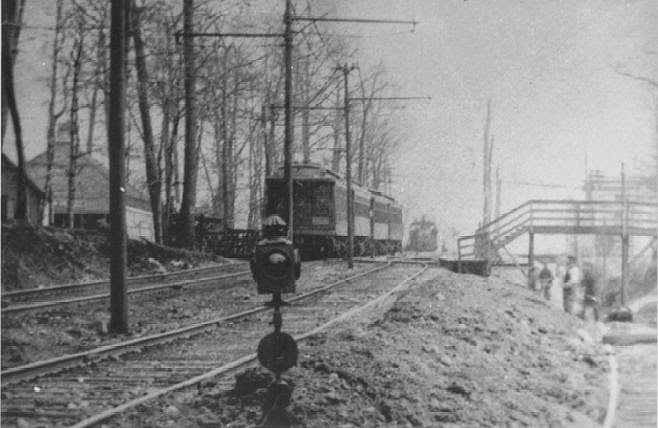 in the center left background while the northern tip of the downtown Avenue H platform is on the extreme left. Note the graffiti on the Glenwood footbridge. The graffiti is getting worse, now having spread to the trains, and has not been cleaned from the Glenwood bridge in the distance. the Glenwood Road footbridge, visible in the center left background. 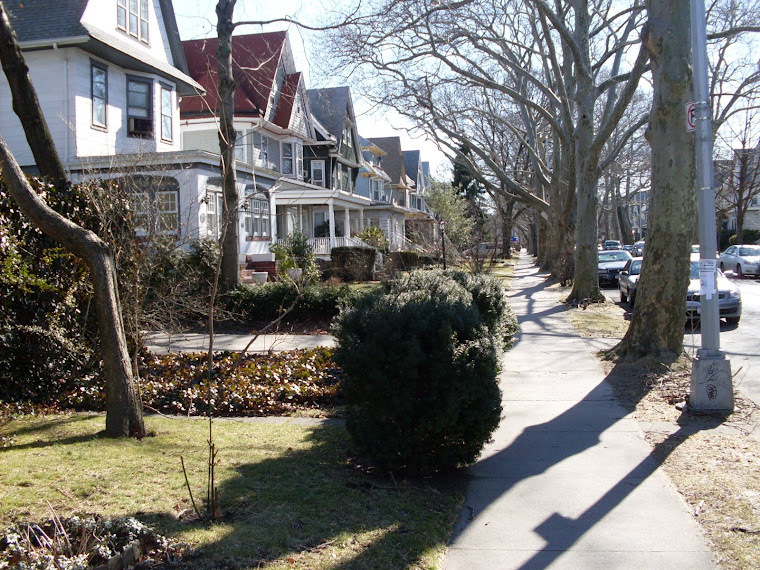 The houses on the right are in Fiske Terrace. The above two photos seem to be graffiti free. Odd for the 1970s. Maybe it was air-brushed out! 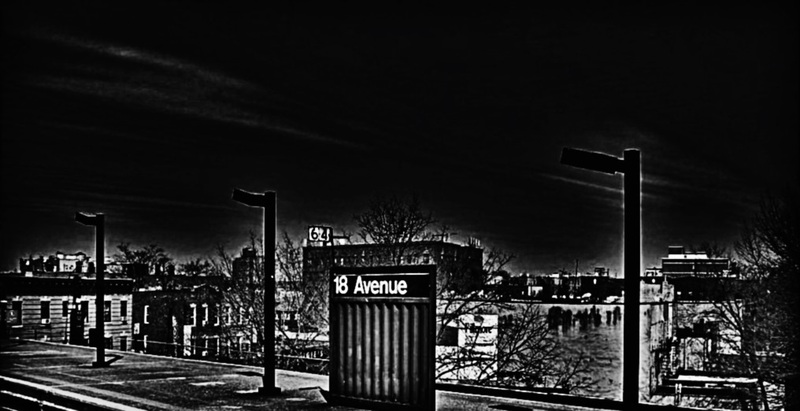 Per the Landmarks Commission: "The railroad tracks south of Avenue H were part of railroad magnate Austin Corbin’s New York & Manhattan Beach Railroad, which extended from Bay Ridge, through East New York, to the East River waterfront at Greenpoint. 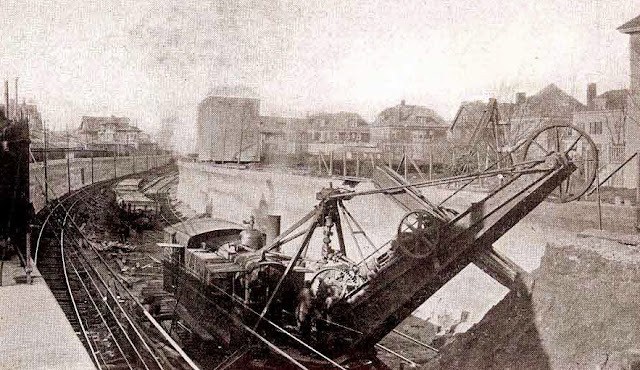 Near East 18th Street, at a location called Manhattan Junction, trains were able to turn southward to travel to Corbin’s Manhattan Beach Hotel, which opened in 1878." 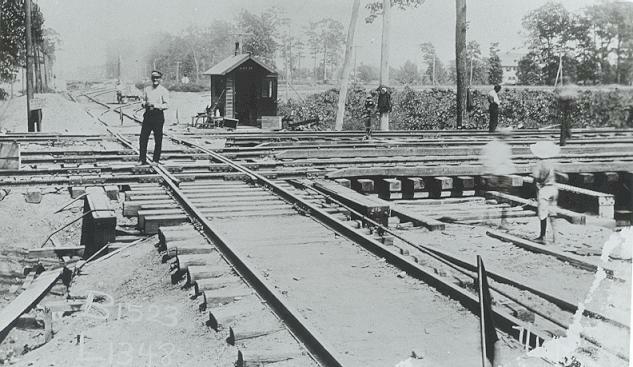 The line carried passengers until 1924, then became a freight line for 13 years (see below). 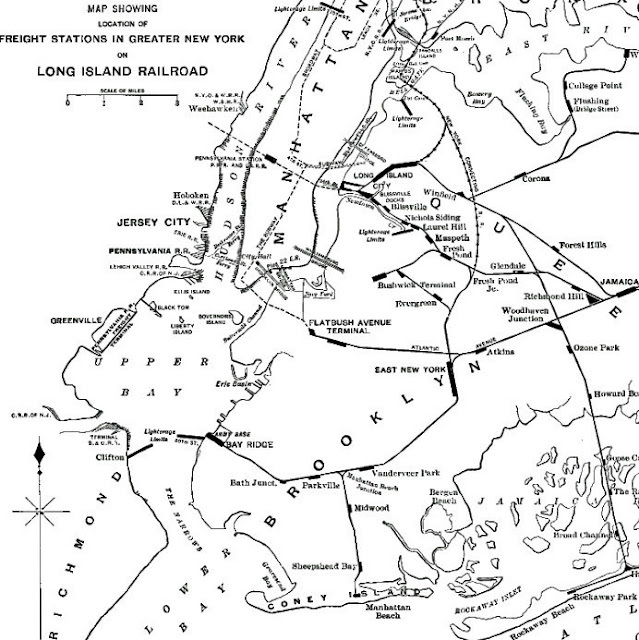 The schemata above shows how the LIRR Manhattan Beach line crossed over the Brighton line south of Avenue I -- after its turn just west of the Manhattan Junction Station, which was located at Ocean Avenue near Avenue H (top left above). 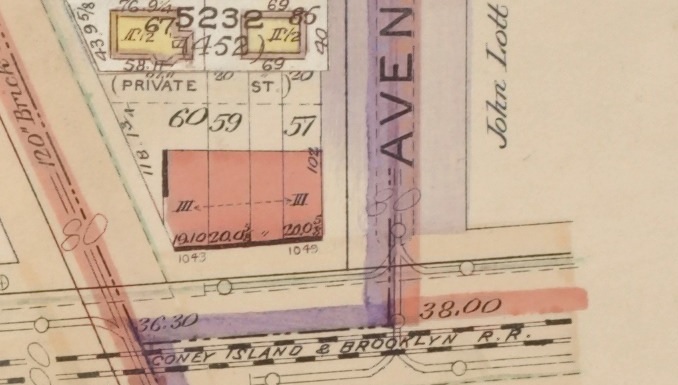 These drawings were made in anticipation of the depression of the LIRR into a trench along its existing right of way south of Avenue H but then its gradual elevation as it turned south to share an embankment with the Brighton line for most of its journey. The photo above is looking west from the station. 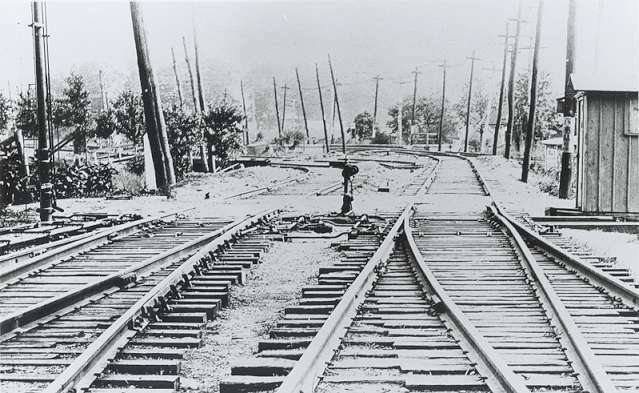 The tracks curving to the left (southwest) were for the Manhattan Beach excursion line while the tracks that continued straight were for the Bay Ridge Division which terminate at the harbor at 65th Street. The work crew below is excavating where the LIRR's Bay Ridge Division intersected the Brighton line just south of Avenue H, preparing to depress the LIRR line into a trench. 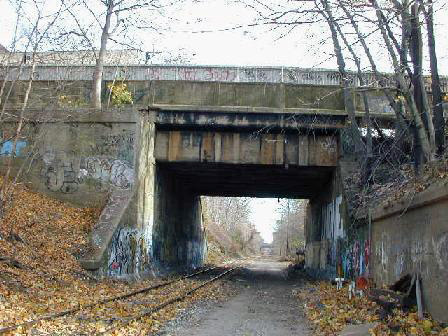 The footbridge above terminated at East 18th Street: the south end of the bridge, but just north of Avenue I. The footbridge above terminated at East 18th Street south of Avenue H.
The East 18th Street footbridge is visible in the center background (another Fiske Terrace photo, at no additional cost to you or your family). 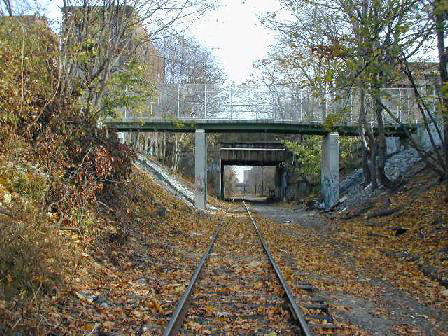 Above is the last vestige of the East 18th Street footbridge over the LIRR cut that connected Avenue I to Avenue H. This photo is looking north on East 18th Street between Avenue I and the Cut. 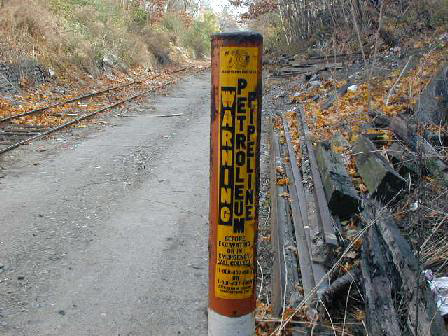 This photo (taken on East 17th Street north of Avenue I, facing the cut) shows signs indicating the Buckeye petroleum pipeline runs alongside the LIRR roadbed. This photo was taken from an access road on the south side of the cut that is used by the FDNY, utility and rail workers. This is the area where the Manhattan Beach line, from 1877 to 1937, turned south while the LIRR Bay Ridge Division continued west. 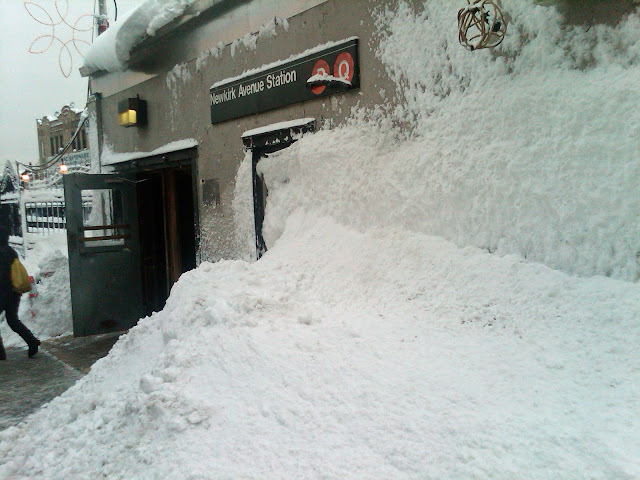 Photo taken at East 17th Street, just west of where the Manhattan Beach excursion line turned southwest. The view is under the Brighton line. 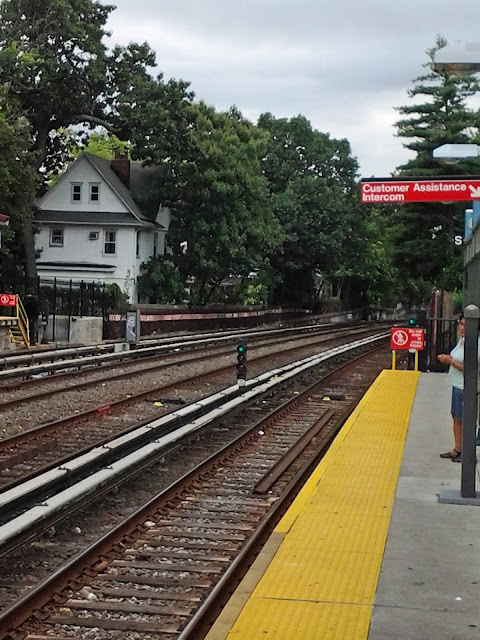 A platform fence has yet to be built for the Avenue H station above. The ugly substation is visible again at the top left. The next bridge in the distance is East 14th St/Rugby Road and beyond that the East 15th Street footbridge. Only one LIRR freight track remains. An average of one train a day still travels this railbed. Visible in distance is the Ocean Avenue bridge. Above photo is looking east from the LIRR roadbed. 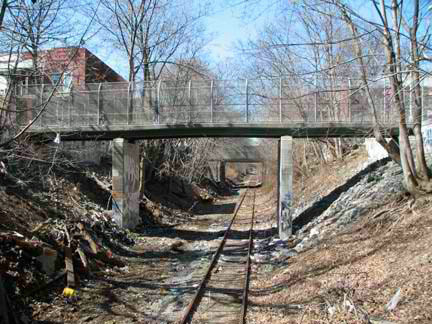 The East 15th footbridge pictured is the sole surviving pedestrian-only bridge over the LIRR cut. In the distance is the Brighton line bridge. This building at the intersection of the Brighton and LIRR cuts is visible in a number of older photos presented here. 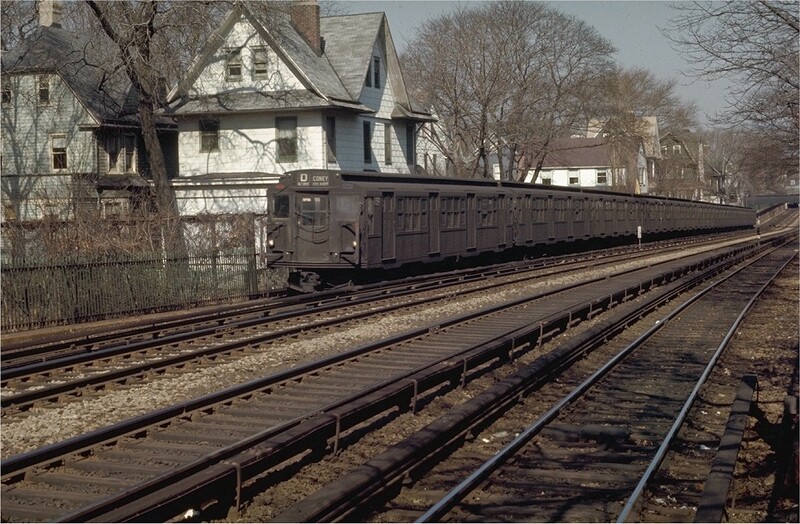 When it was built, at the dawn of the 20th century, the Brighton line had just become electrified via overhead power lines and tethers that attached to the tops of the train cars. 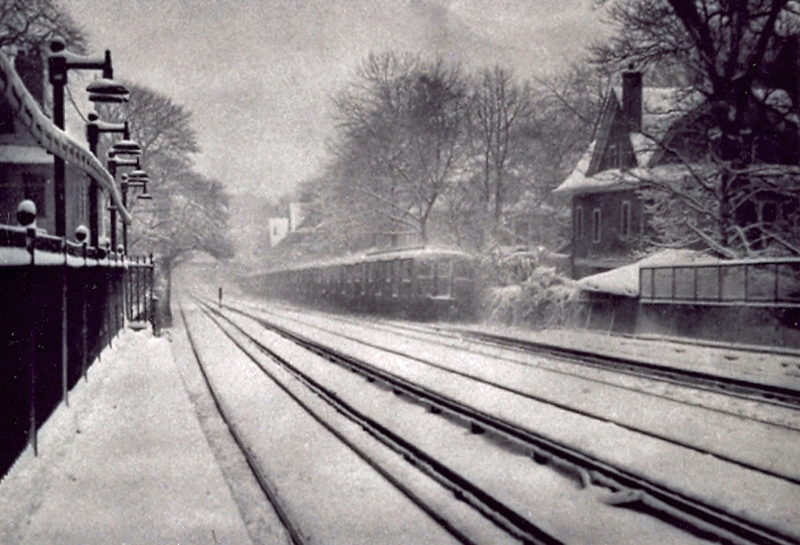 When the third rail was introduced on the Brighton line at the completion of the grade elimination project in 1908, stations like this supplied the power. 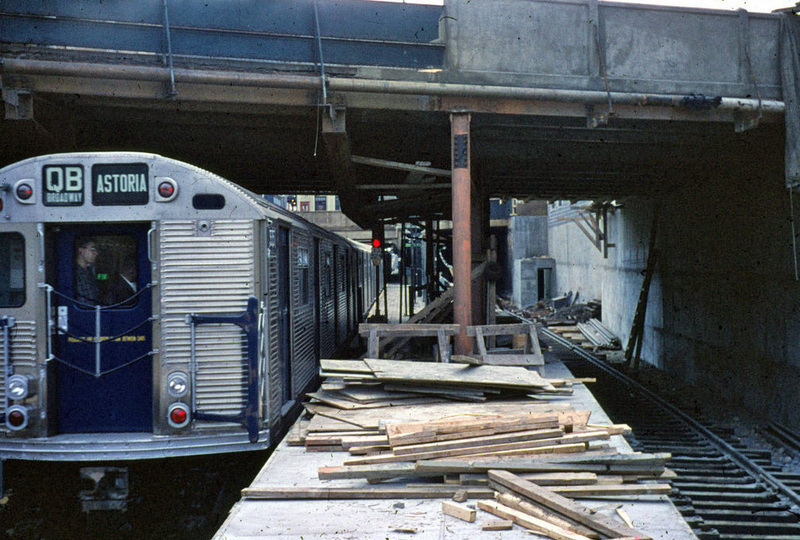 It was located where the LIRR split off in two directions: the Manhattan Beach Division paralleled the Brighton line to its immediate west southward from Avenue I, after arcing southwest near East 18th Street south of Avenue H. Meanwhile the Bay Ridge Division continued westward to the harbor and still survives as a freight line today. The Bay Ridge Division was powered by overhead electric cables until the mid-1960s, when they were replaced by diesel locomotives. 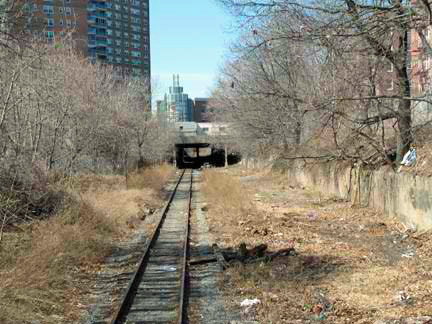 Above photo is looking west along the LIRR roadbed. The next bridge in the background is the Rugby Road/E. 14th Street roadway. 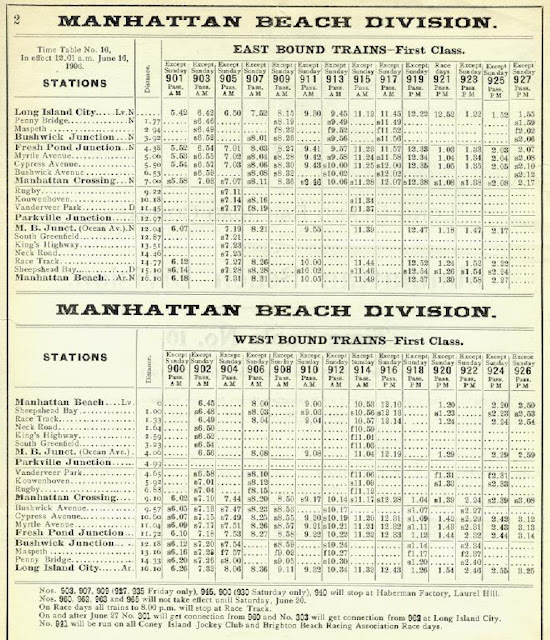 The map above was prepared by the LIRR after it discontinued passenger service on its Manhattan Beach line in 1924. 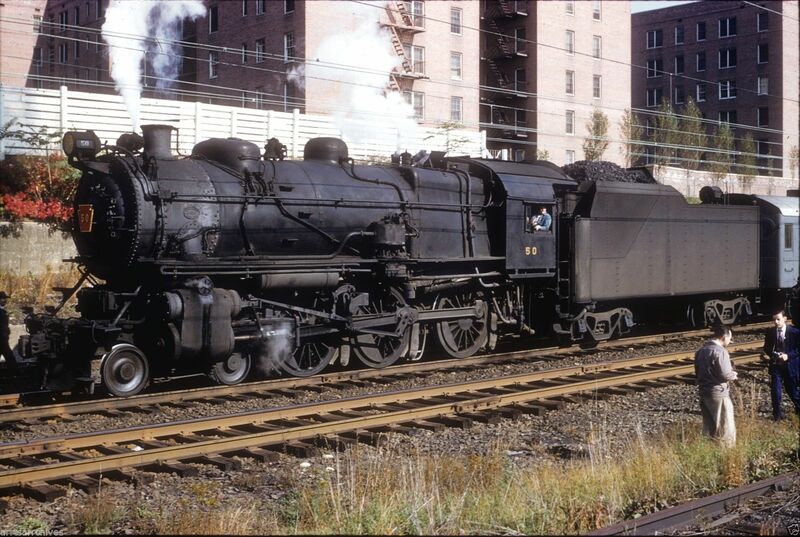 This steam railroad originated in Long Island City, eventually paralleling Avenue H until East 18th, when it curved south and passed through the Brighton tracks to run west of that roadbed from Avenue I to Manhattan Beach. 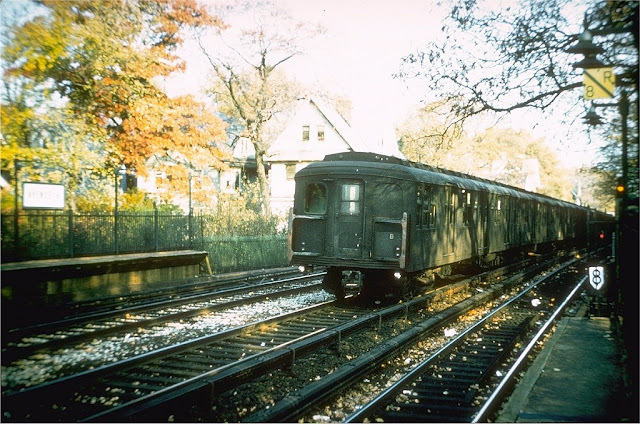 After 1924 it carried freight, which could be loaded at Sheepshead Bay, Midwood (Avenue O) and Vanderveer Park (Flatbush Avenue and Avenue I). It wasn't much of a money-maker because of the difficulty customers had in reaching the loading stations. 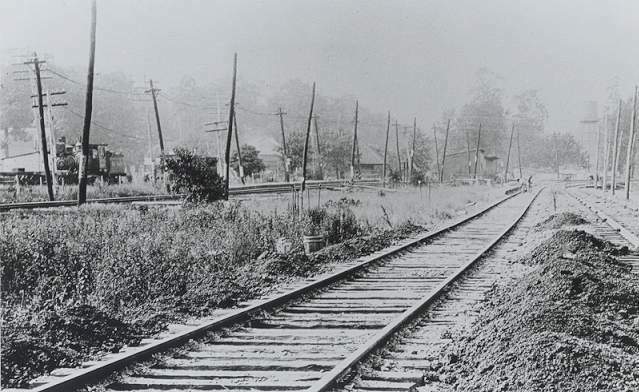 The right of way was sold off in 1939 (see below), leading to new construction. 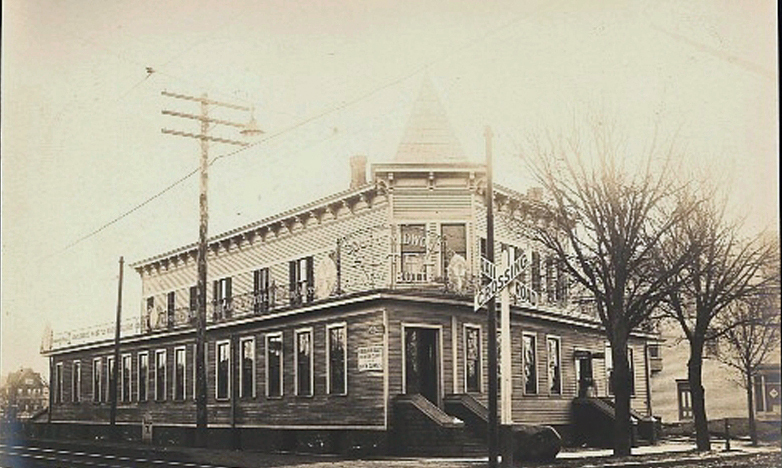 turn southward to travel to Corbin’s Manhattan Beach Hotel, which opened in 1878 [SIC - it was 1877]. 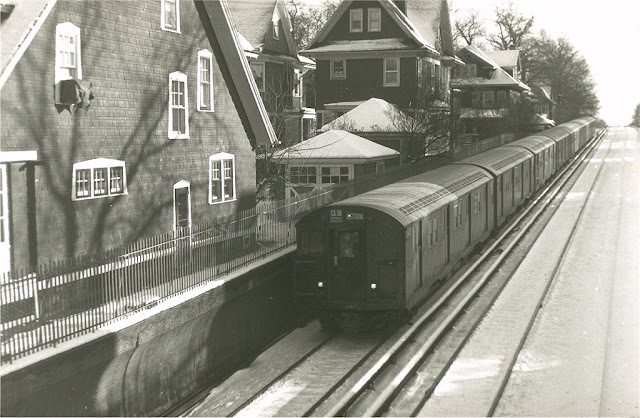 Today part of the freight-only Bay Ridge Line of the Long Island Railroad, the tracks just south of Fiske Terrace stopped carrying passengers in 1924. [This was] a excursion rather then commuter railway..."
The tracks in the center of the above photo which is looking north near Avenue J are for the Brighton line while on the far left the LIRR has its own right of way. In 1924 the Manhattan Beach line became a freight-only operation that was discontinued in 1937. 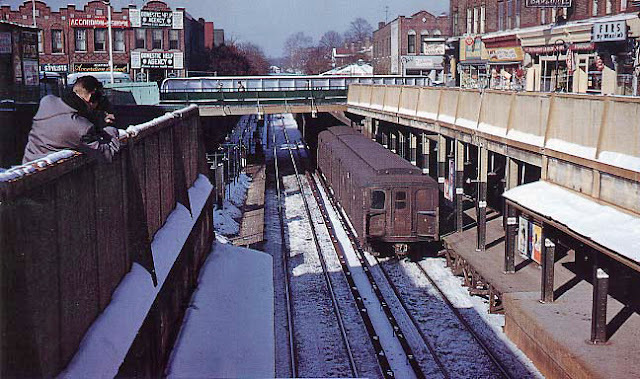 In 1939 its 45 foot wide elevated right of way immediately west of the Brighton elevated line (stretching from Avenue J to Neptune Avenue) was demolished and the land was sold to developers. 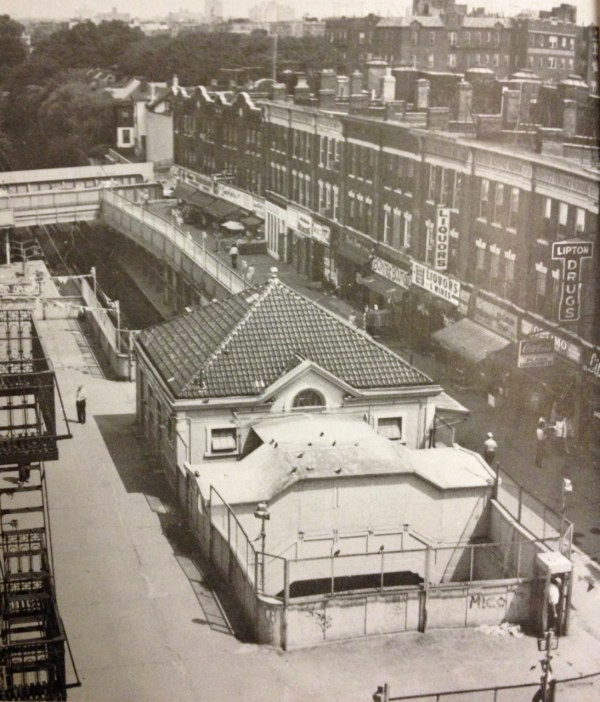 The picture above was taken from a rooftop overlooking the elevated tracks, looking north toward Prospect Park. 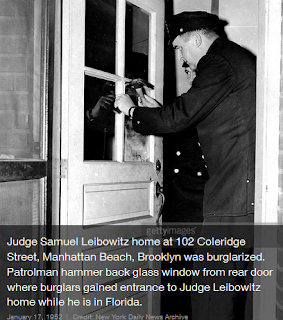 The photo accompanied a story from January 15, 1939, headlined "Famous Brooklyn Landmark - Mainline to Manhattan Beach - Slated for Demolition." 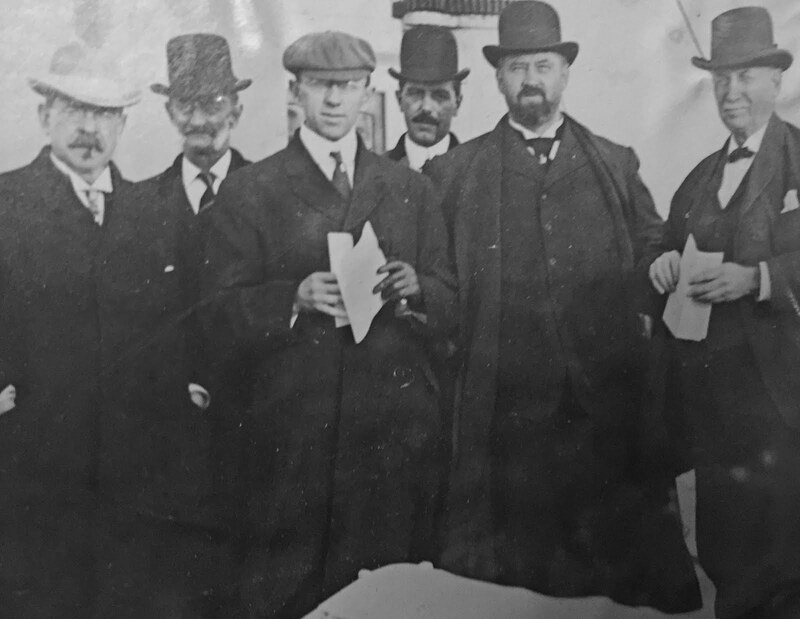 Poor quality owing to microfilm archive. 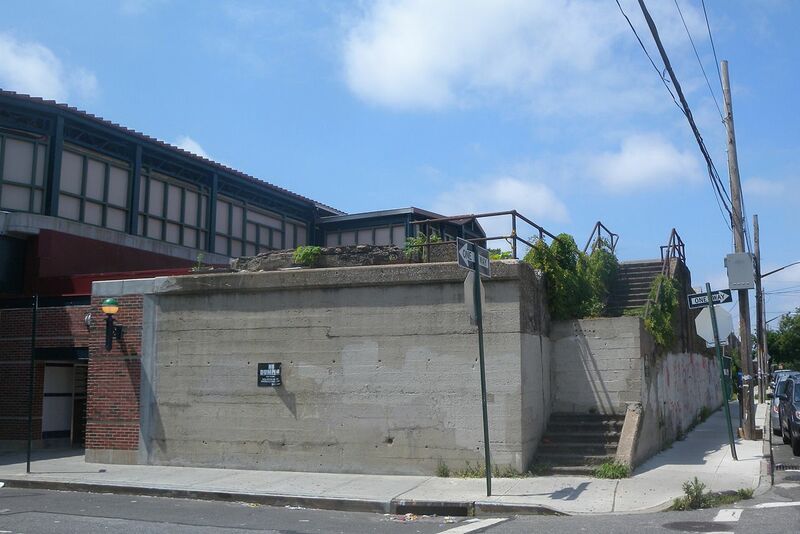 The photos above show the last vestige of the LIRR Manhattan Beach line: a stairway leading to a platform that no longer exists on the right at Gravesend Neck Road and East 16th Street. 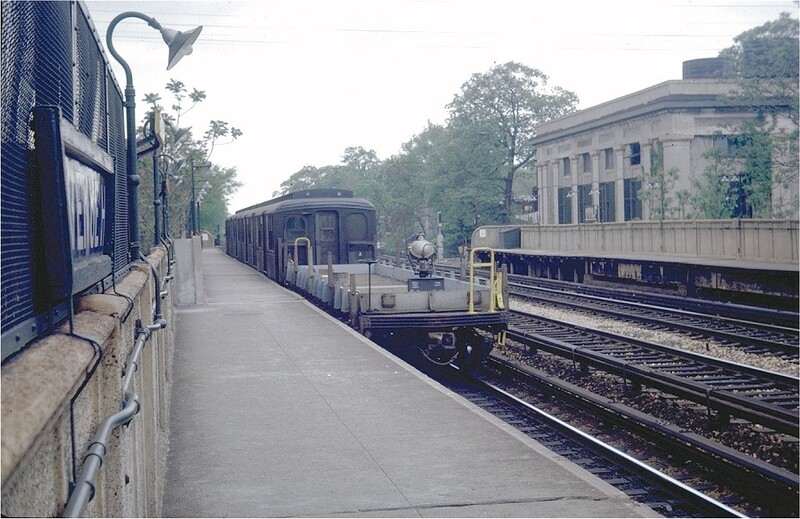 The photo above is looking northeast from the intersection of the Coney Island Avenue trolley line and the LIRR Bay Ridge Division tracks just prior to the depression of the LIRR line as part of the Grade Crossing Commission work. 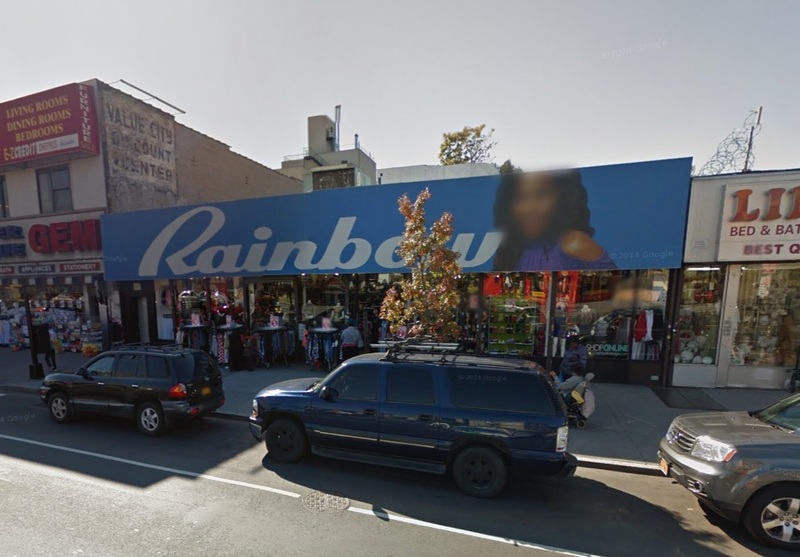 Over the men's shoulders are buildings on Avenue H and beyond in West South Midwood are visible. 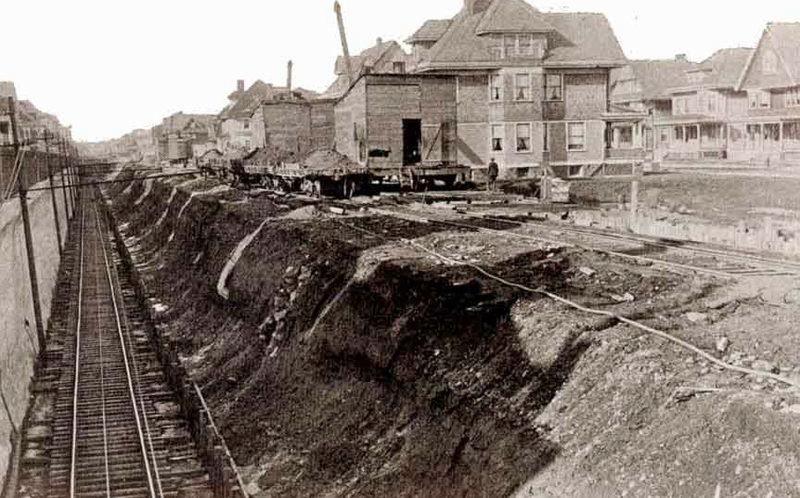 Again, looking northeast from the intersection of the Coney Island Avenue trolley line and the LIRR Bay Ridge Division before the latter was depressed in a trench. 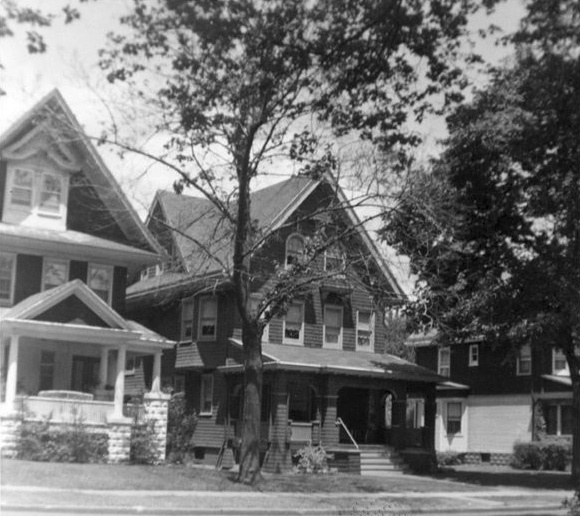 The rear of the homes Ackerson built on Westminster Road are visible. 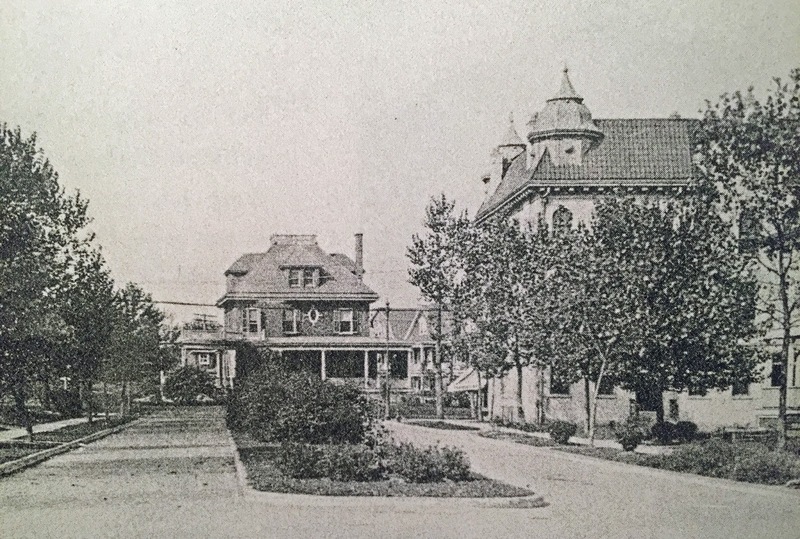 In the far distance, in the upper left corner is the ghostly visage of the building that still stands at the intersection of Coney Island Avenue, Glenwood Road and Corbin Court which we featured HERE. 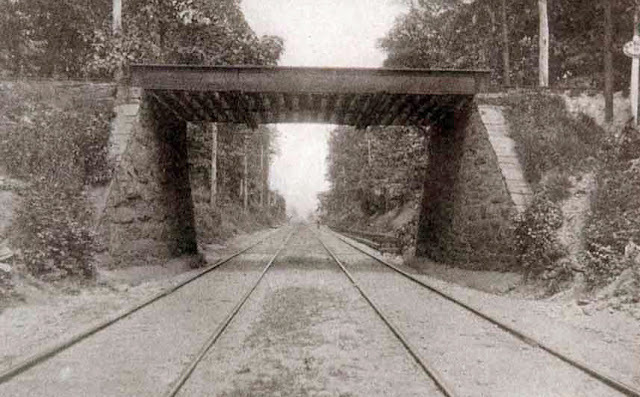 Two photos above show a wider angle looking north from the intersection of the two railroad tracks. 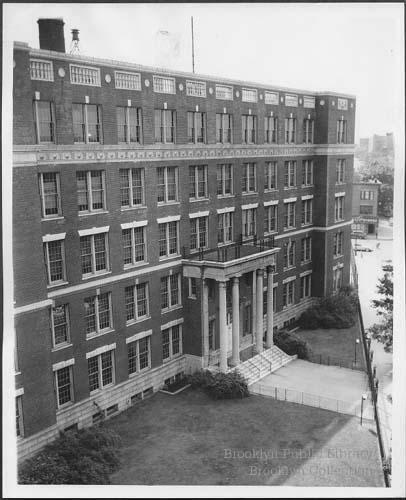 This building above stood near Flatbush Avenue and Avenue I until it was demolished in 1960. This area was where John Corbin erected his first house-building factory circa 1902. As a misguided youth who grew up at Flatbush and Rogers Avenues, I would travel with pals a few short blocks to "the cut" at that location. I can recall in the late 1950s there was still the vestige of a Manhattan Beach passenger rail station there (Vanderveer Park), complete with a beat-up wooden platform. Also, an active "hobo jungle" and assorted artifacts that caught the fancy of adolescent boys. 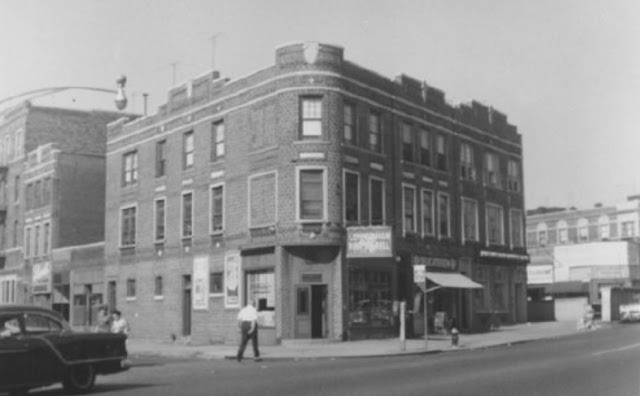 This vast open cut was swallowed up by the construction of the Philip Howard apartment houses circa 1965. Port Authority map above indicates there were still freight loading stations at Vanderveer Park (at Flatbush and Avenue I) and Parkville (at McDonald Avenue and Avenue I) in 1949. 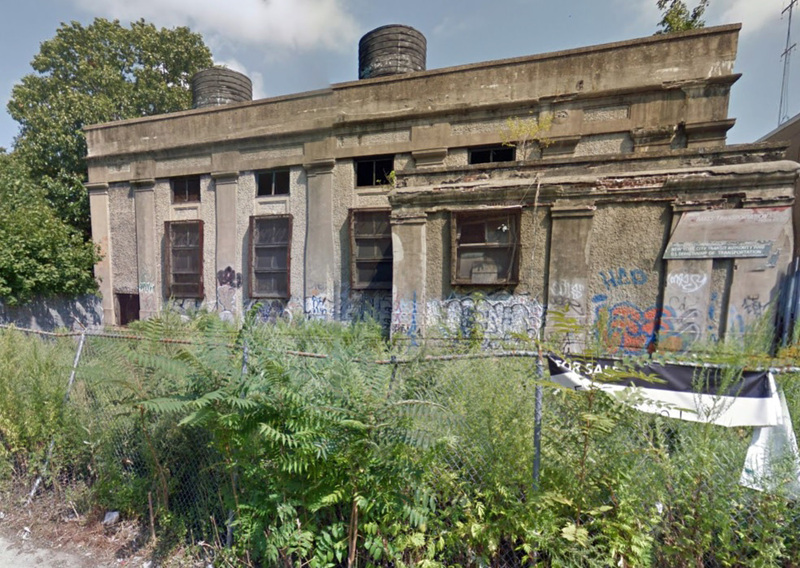 Per the 2010 Cross Harbor Freight Program Needs Assessment: "The Bay Ridge Branch was once a major rail freight corridor during the peak of rail float operations across the harbor. 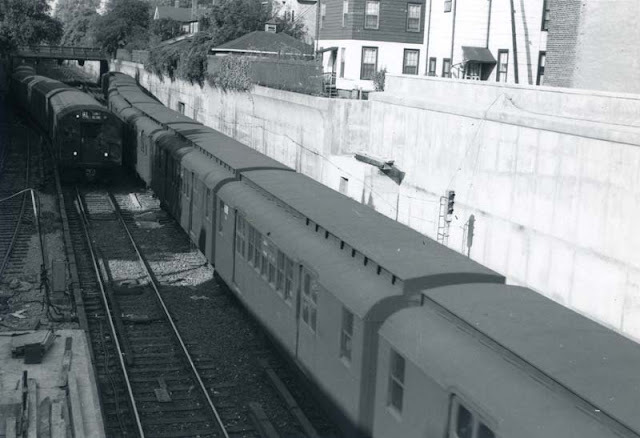 At one time the Bay Ridge Branch carried 600,000 railcar-loads per year, but now carries less than 3,000 carloads per year. 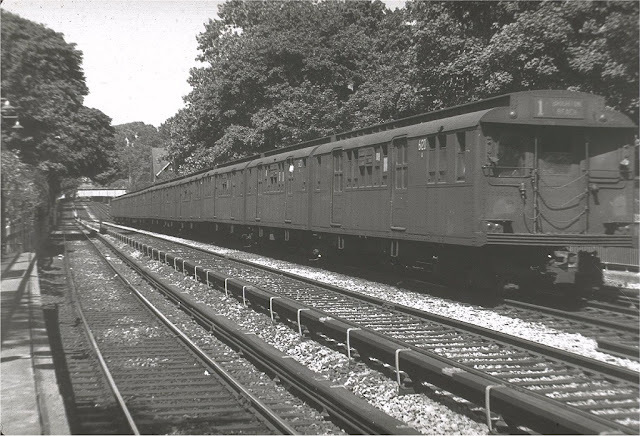 The Bay Ridge Branch began as a narrow-gauge seasonal railroad serving Brooklyn beaches. 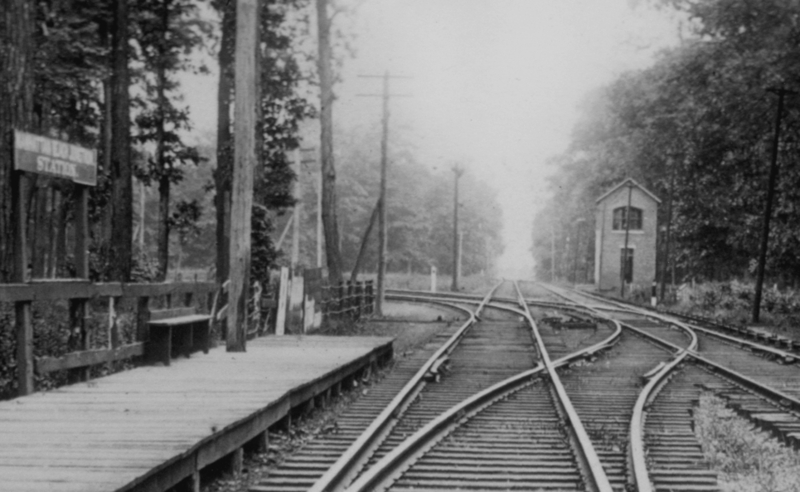 It attained its highest state of service and capacity as a result of improvement projects (years 1914-to-1925) that featured high-voltage AC electrification and grade-separated multiple track. 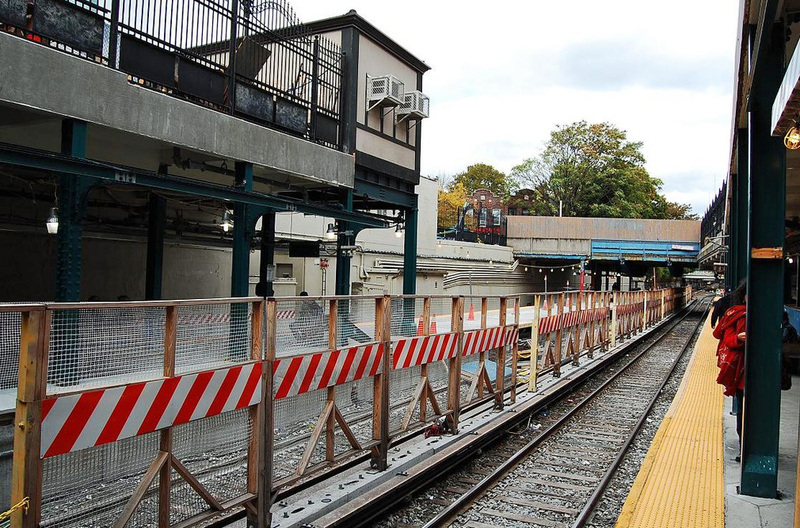 This upgrade was designed as a predominantly four-track facility, with intermittent sections of two-track right-of-way. Today, the Bay Ridge Branch has only one active track, with passing sidings. It has no signals, with train movements controlled by track warrant (direct approval from a dispatcher). The existing yards of significance are at Bay Ridge 65th Street and at Fresh Pond (Queens). 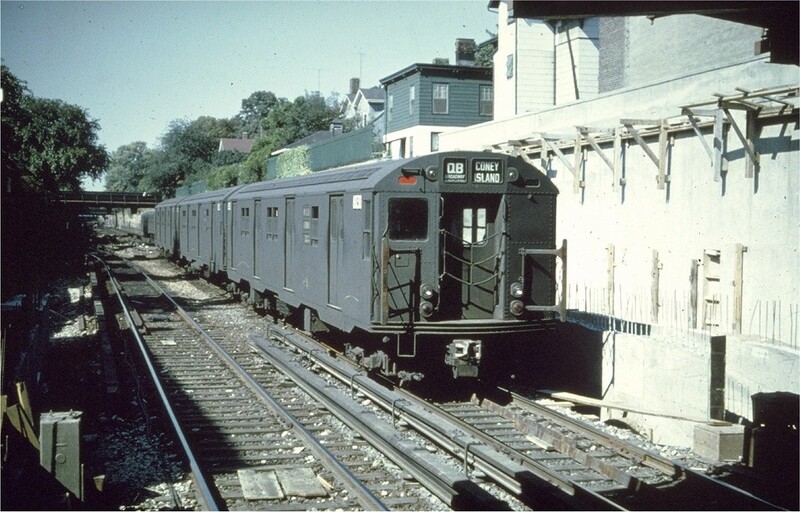 The existing East New York Tunnel on the line has four bores, but with only one tube in service. 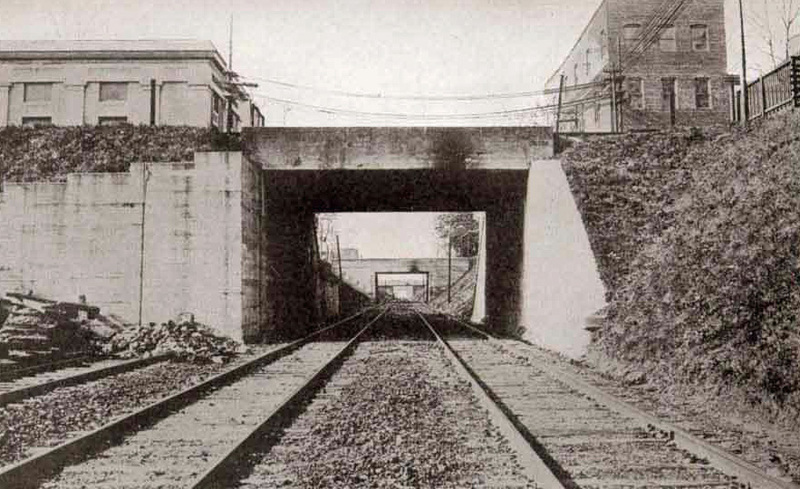 Two other tunnel tubes have tracks in place, but are not connected. The fourth tunnel tube is sealed and conveys a petroleum pipeline. 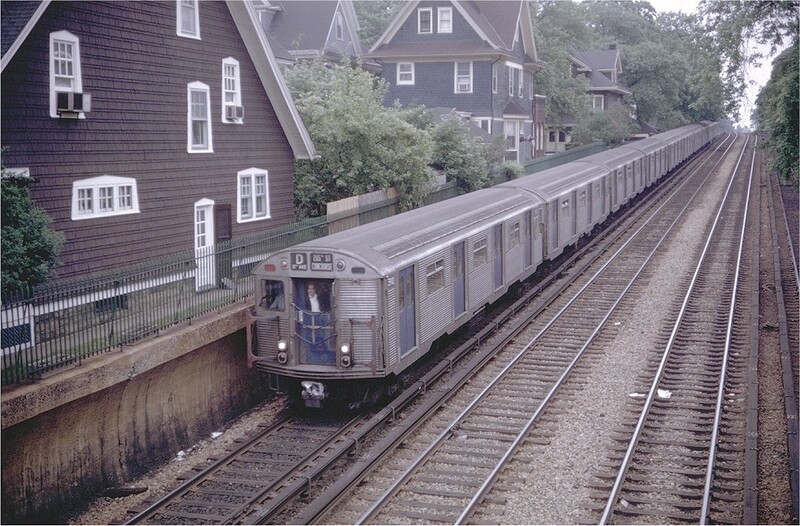 The Bay Ridge Branch is entirely grade-separated, with 44 overhead structures or bridges in the segment of the line between East New York and Bay Ridge...The LIRR freight service New York and Atlantic Railway operates the Bay Ridge Branch. Shippers and consignee demand on this rail line is generally on an as-needed basis, and averages only about one freight train per day." 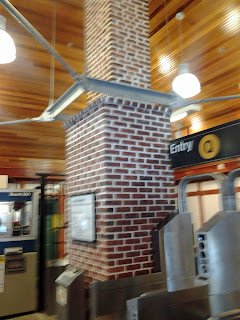 In the photo above, there is an ad for Shults Bread beneath the platform visible in the lower center portion. 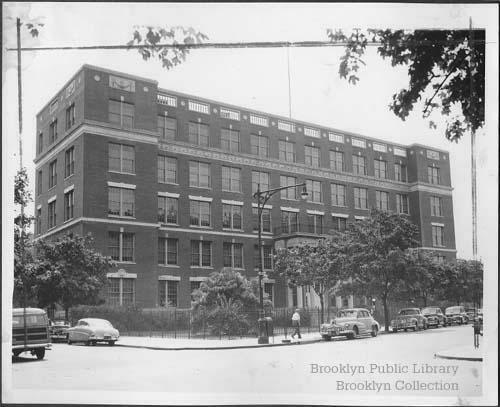 At the time Shults was the largest bakery in New York, churning out 30 million loaves of bread annually in a huge plant on Heyward Street in Williamsburg. 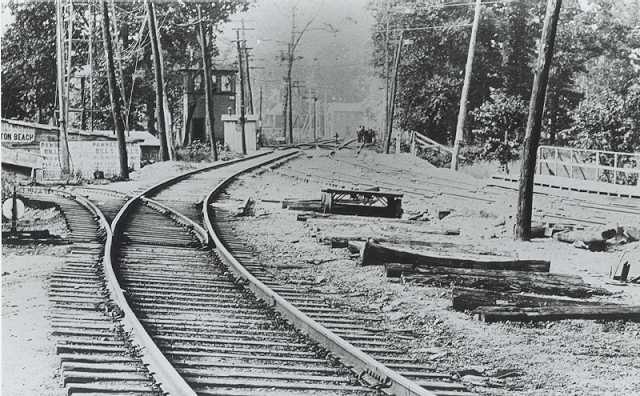 Per History of the Work of Eliminating Grade Crossings by the Brooklyn Grade Crossing Commission: "The work on the cut was begun December 29, 1905, at Avenue G, for the construction of the west concrete wall. 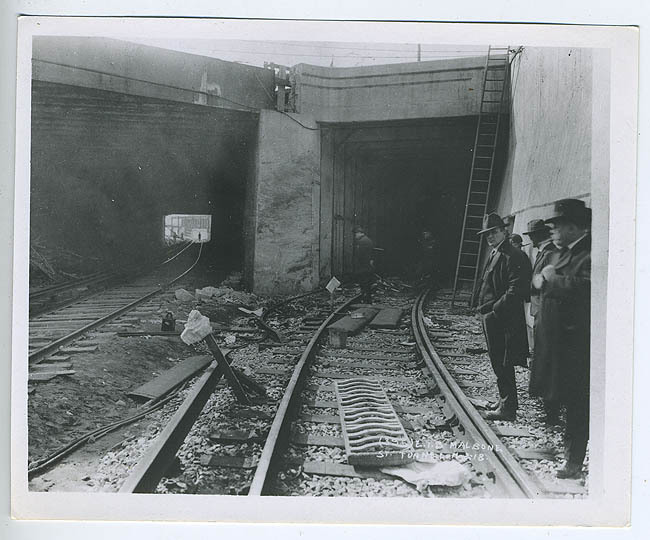 The excavation for the depressed roadbed began at and followed the construction of this wall, said excavation consisting of about one-third of the width of the entire cut. 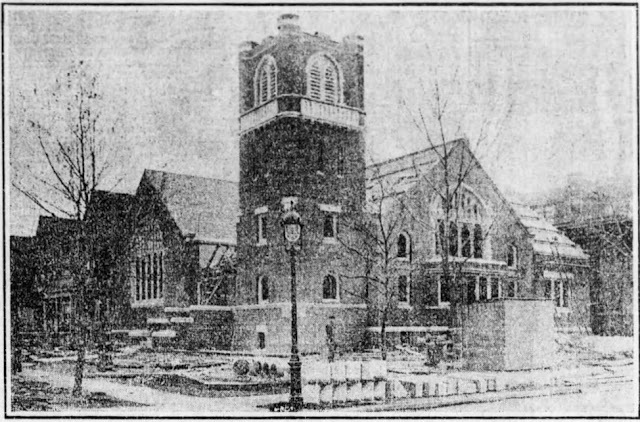 After the west wall was completed the east wall was begun at the Church avenue end of this section and as the east wall progressed it was followed by the excavation of the remaining portion of the cut. The west wall was completed in October, 1906, and the east wall was completed in August, 1907." 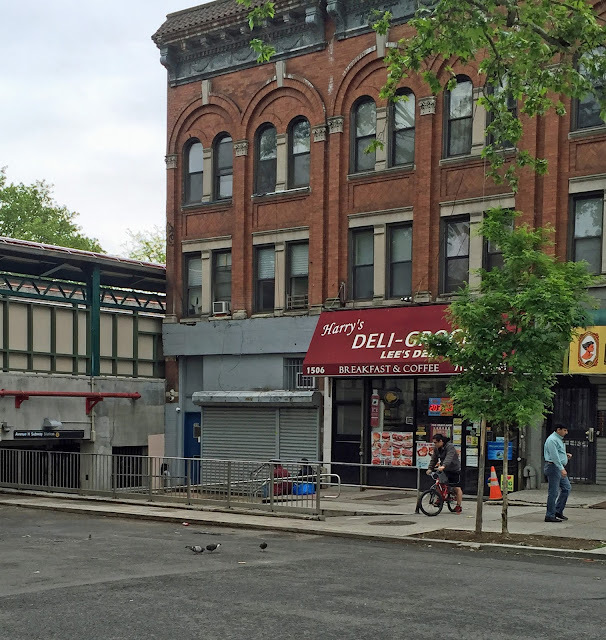 1906: Newkirk Ave Station Then Called "South Midwood"
Flatbush was also called Midwood by the Dutch. Ergo when Henry A. Meyer's Germania Real Estate purchased a huge farm/wooded area extending from Flatbush to Coney Island Avenue, which placed the land squarely at the furtherest southern tip of the town of Flatbush, they naturally called it South Midwood because it sounded more bucolic than a southern flat bush. 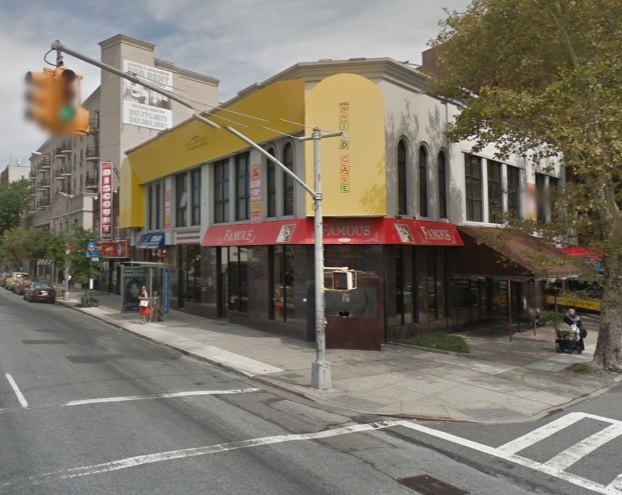 Lindeman Florists, visible to the right of the long-gone "Plaza Radio Shop" in the photo above, was an original tenant of the Plaza until it relocated to Bay Ridge in 2012. 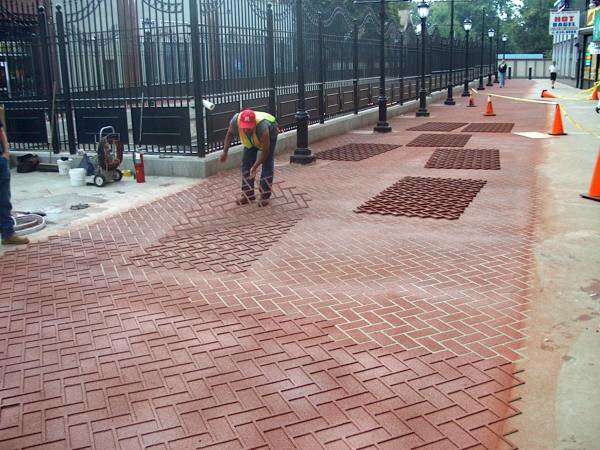 The Plaza starts to look worn. A bar and grill, a fur shop and a hobbies store are all long gone. 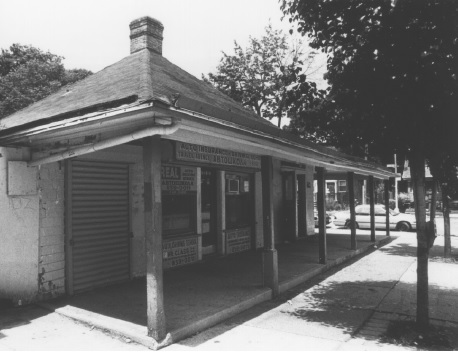 Grillos, pictured above, sold fish in the front of the store and had dining in the rear. Much beloved in Flatbush, it folded circa 1986. 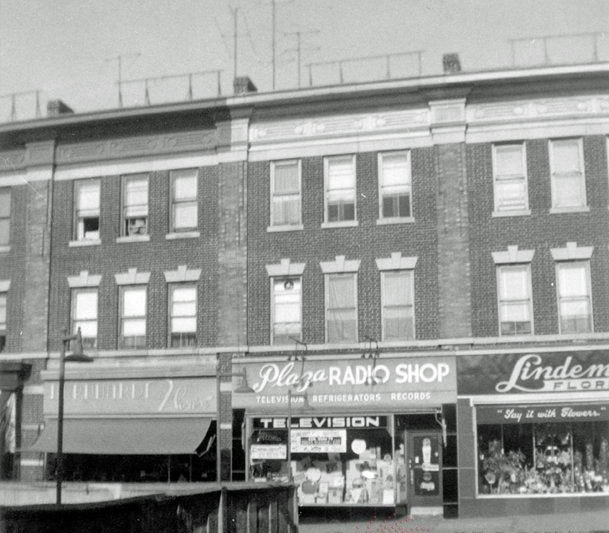 Visible on the far right is Paul's Barber Shop, which opened in 1912. 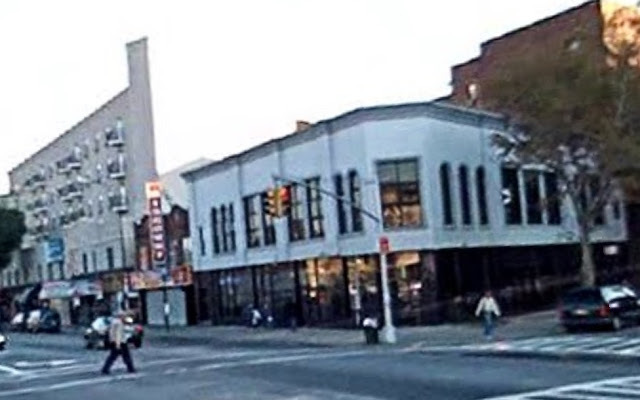 In 1991 it was bought by Leon Kogut who fled to Brooklyn after he was forced out of his shop in Manhattan by a voracious landlord named Donald Trump. 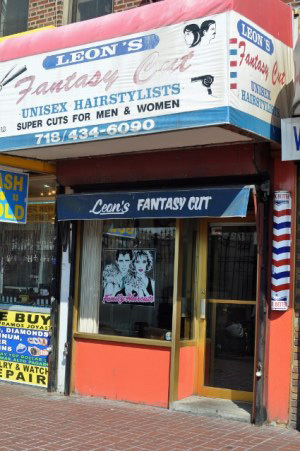 Since then Leon has been cutting Flatbush hair with style and gusto. 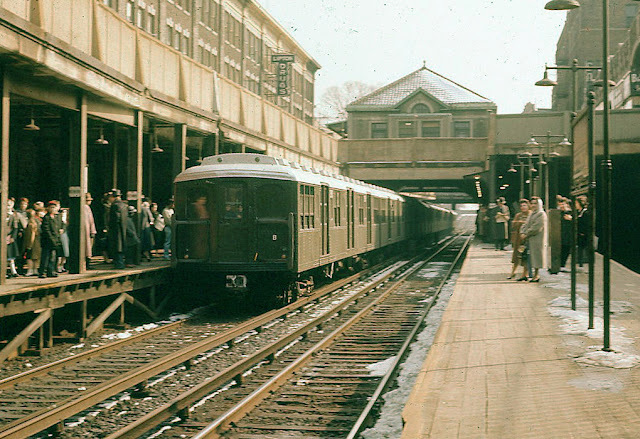 station sometime between 1958 and 1962. A significant reconstruction project occurred in 1964 as the wooden platforms were replaced by concrete and lengthened to accommodate longer trains. The retaining wall on the north end, pictured above, was also heightened. 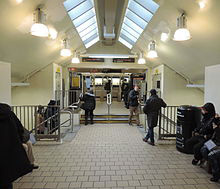 The Newkirk Avenue station was renamed Newkirk Plaza in 2011 at the end of the refurbishment of the station and the Plaza itself, all of which began in 2008. 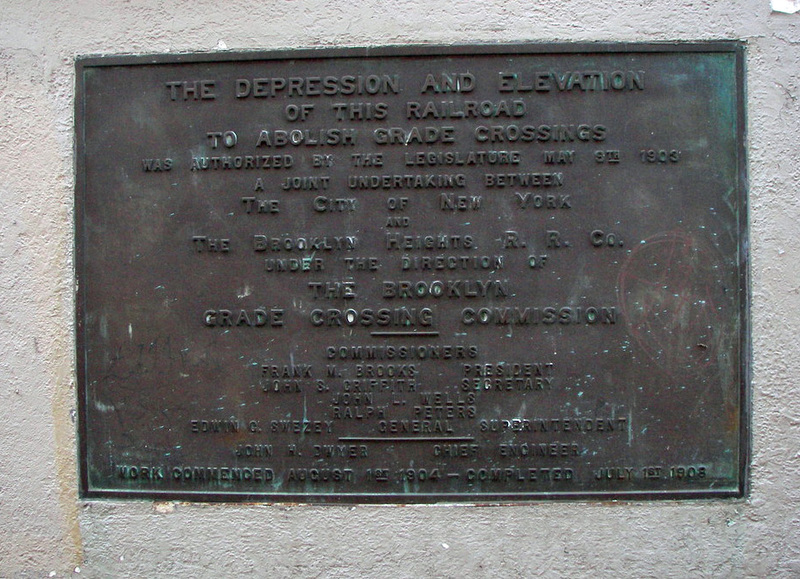 Plaque on the east wall of the station house has weathered well. 2014: 30 Newkirk Plaza. 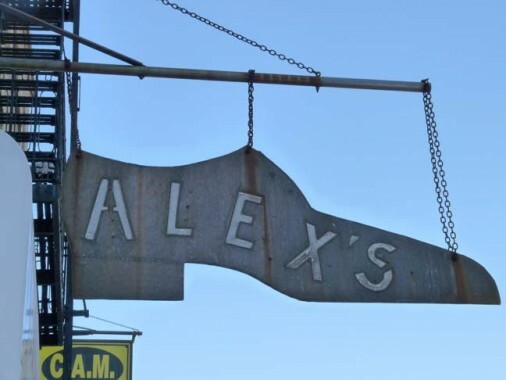 Beloved Alex Shoes Closed in 2015. 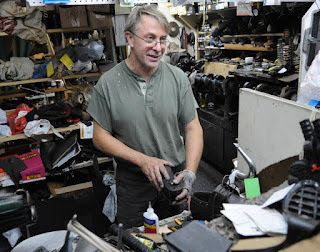 Alex could fix any shoe or zipper or anything made of leather. And his prices were insane. Relocated to Colorado. Dos Vedanya, Alex. 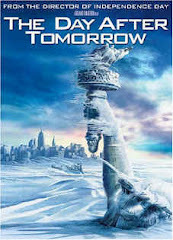 2008: 26 Newkirk Plaza. Beloved Hot Bagels Closed in 2010. Miss You, Baba. 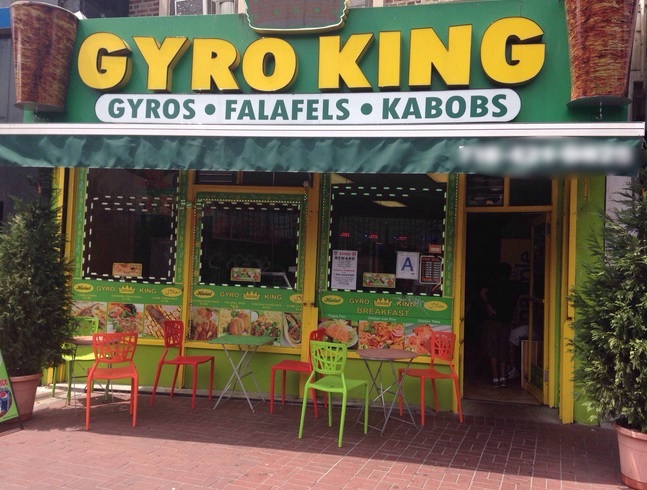 Gyro King is now there. Good kebab. Cheap too. 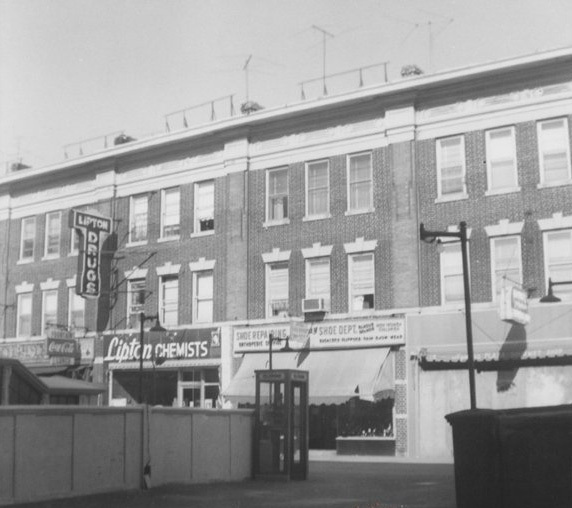 Almac on the northeast end of the Plaza has been serving the neighborhood in excellent fashion since 1918. The brand-spanking new Eureka Apartments. Empty lot to the south. Neighbor to the south keeps Eureka company now. Still looking pretty good. 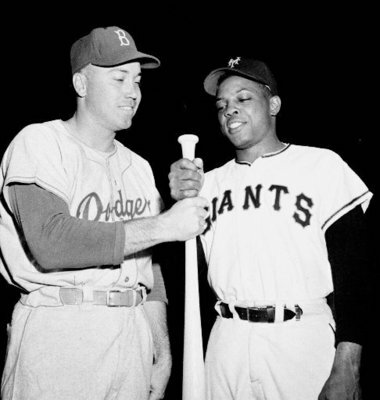 All three photos date to 1954. Looking southwest from the corner of Westminster Road and Newkirk Avenue. 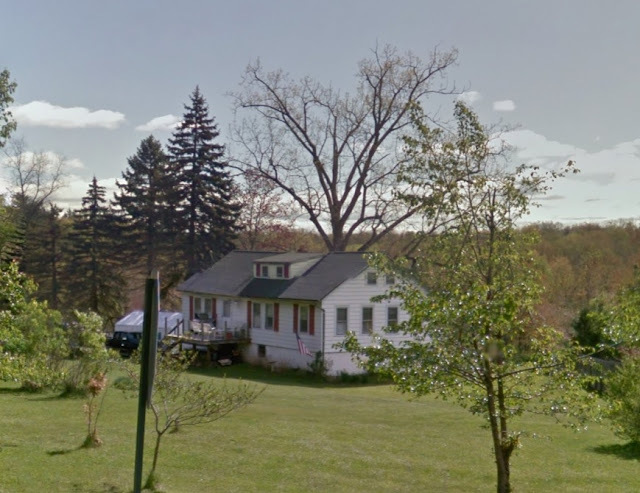 It's time to pay tribute to the two men who built most of the homes in these parts. 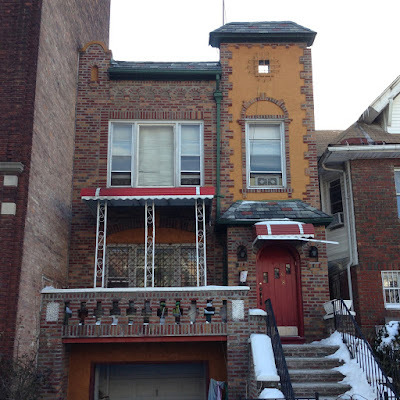 The following borrows heavily from the Landmarks Preservation Commission Designation Report on Fiske Terrace and some of my own snooping. - John R. Corbin Company: He built about three-quarters of the houses in Midwood Park, generally north of Glenwood Road from East 19th to East 17th. And many houses in West South Midwood. - T.B. 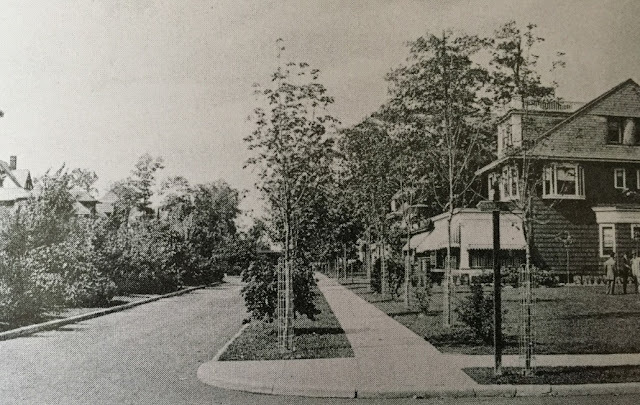 Ackerson: All of Westminster Road from Glenwood to Avenue H. Ackerson was also the principal developer of Fiske Terrace. 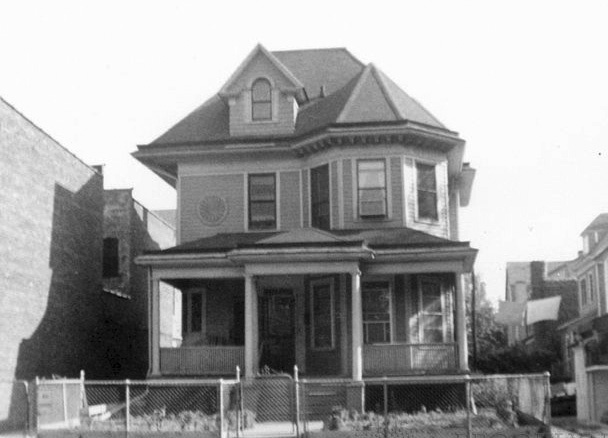 One of the most innovative figures among Flatbush developers and builders, Corbin, born in Brooklyn in 1869 to immigrant parents, was a carpenter by trade, had studied architecture, and became a contractor in 1895. 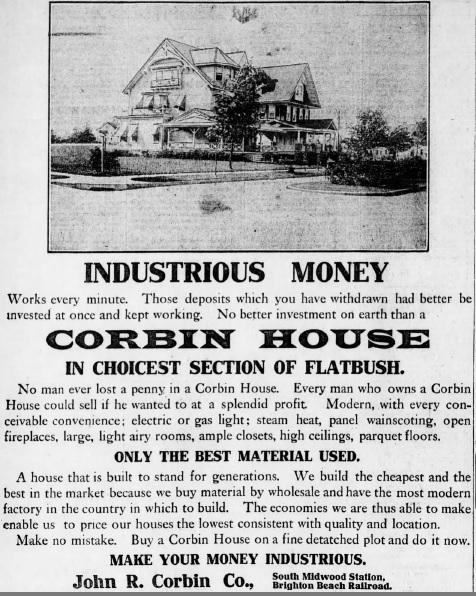 Concluding that “the overflow of the increasing population of New York … would naturally trend towards Flatbush,” he decided to move there and enter the business of constructing “model cottages.” In 1902 he formed the John R. Corbin Company. 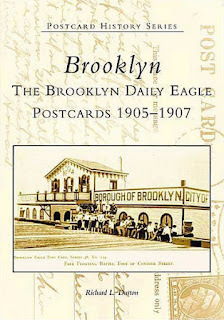 Per the Brooklyn Eagle's story about his expanding operations that year: "The new company holds an option on nearly 1,000 lots south of Prospect Park, and proposes to erect its own lumber yard and planing mill on a big plot of ground, recently purchased, near the Vanderveer Park station, on the Manhattan Beach branch of the Long Island Railroad." By 1908 Corbin's new factory at the foot of East 56th Street on Mill Creek (today's Kings Plaza site) was churning out hundreds of houses a year. But alas and alack, Corbin over-expanded and got into financial difficulty. By 1913, his factory, was sold by Germania Realty. And by 1917 he was bankrupt. 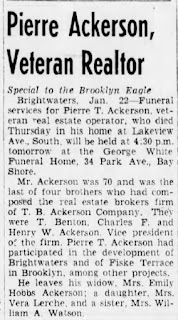 The same fate befell Ackerson whose company suffered a slump during the First World War and was put into receivership. Thomas Benton Ackerson was born in Rockland Lake, New York in 1855. In 1874 he began his career at the Knickerbocker Ice Company and worked there for nearly 30 years. 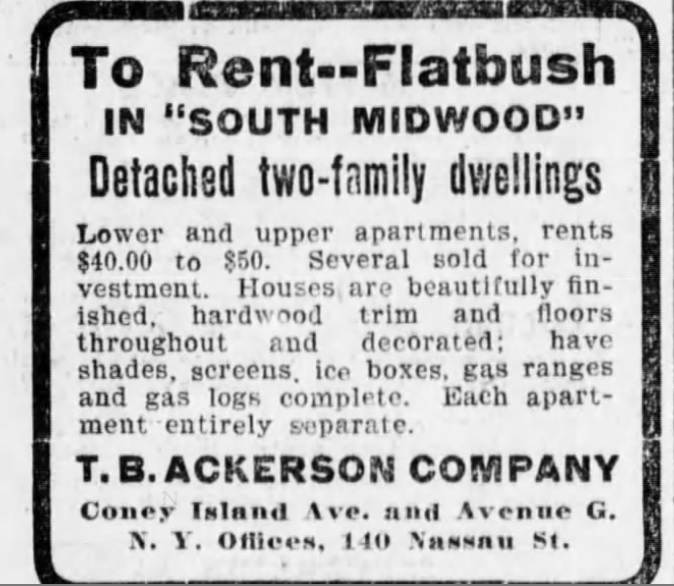 In 1898 he created the T. B. Ackerson Company and purchased and began developing land in Flatbush, creating Beverly Square East and West over the next five years, erecting single-family detached-homes to order. 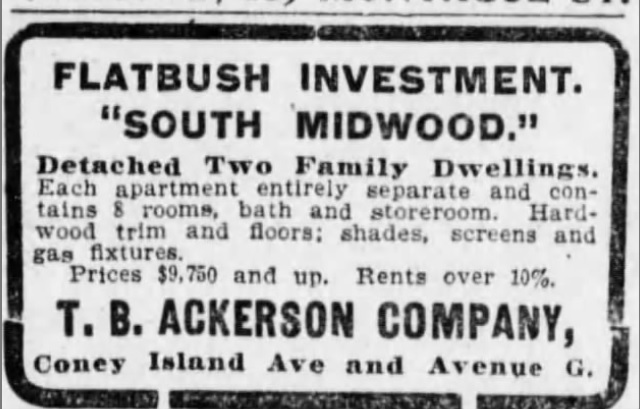 Thereafter Ackerson modified his development tactics: in South Midwood, South Greenfield, Fiske Terrace and West South Midwood, his company provided everything for the development including the construction of the roads and utilities; the construction of two-family homes using a number of set plans; and the financing of sale of the homes for the buyers. In Fiske Terrace, Ackerson’s houses were built primarily along the courts, East 17th Street, Glenwood Road, and the east side of East 19th Street. 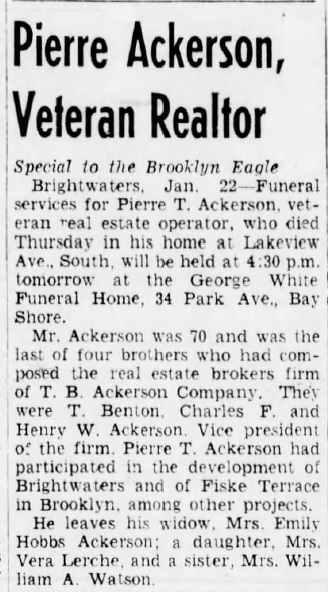 T. B. Ackerson died of pneumonia in his Roslyn home in 1924. 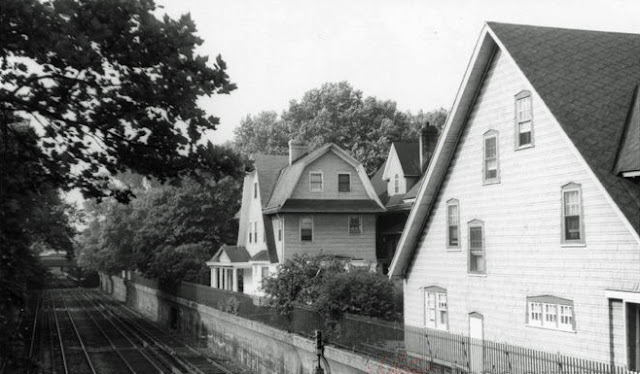 Ackerson, who boasted of transforming Fiske Terrace “from woods into city in eighteen months,” was nothing less than beloved on the other side of the Brighton tracks, maintaining a home at 1280 Ocean Avenue near Avenue H for many years. He's buried in Green-Wood Cemetery (in section 202). 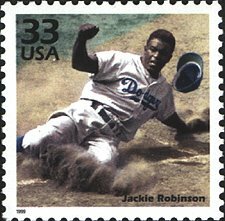 Corbin and Ackerson sprang from simple beginnings, aimed high, achieved much, got shot down but kept slugging until the end. 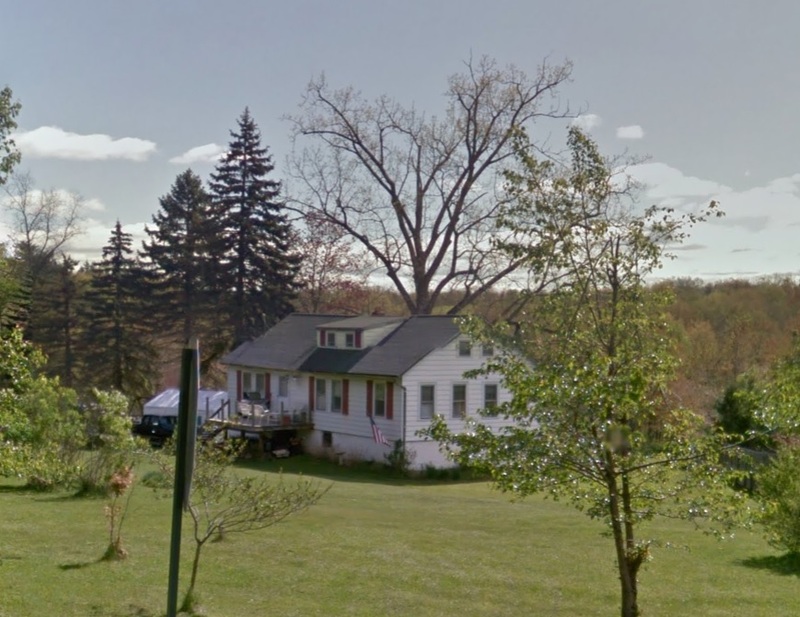 Corbin, after his downfall, moved with his family from 36 Oakland Place (near Sears Roebuck) to Wappingers Falls in Dutchess County in 1918 and reared swine on the Diddell Farm, with the 1920 Census indicating an occupation of "Farmer." There are livestock transactions by Corbin that were recorded in 1918 and 1919 per American Duroc-Jersey Record (Volume 52 & 53, Published by American Duroc - Jersey Swine Breeders' Association, Chicago, 1920 & 1921). I grew up on a Kansas farm where we had many hogs. These were not routine, average pigs or there would not be such an elaborate record of them. The Duroc breed is now considered a "heritage" breed and is prized because of the flavor, tenderness and juiciness of the meat. My guess is that Corbin was looking toward breeding pure bred hogs with the object of capitalizing on their higher value. But in the 1930 census he continued to report the same occupation he had in 1900: "Builder of homes". 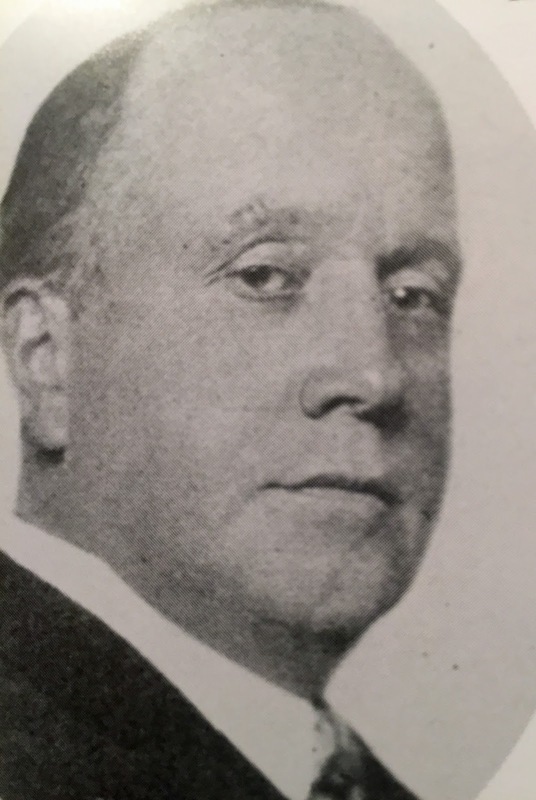 He died on Christmas Day in 1937 in Wappingers Falls at age 68. The origin of the name "Corbin Court" is something of a mystery. 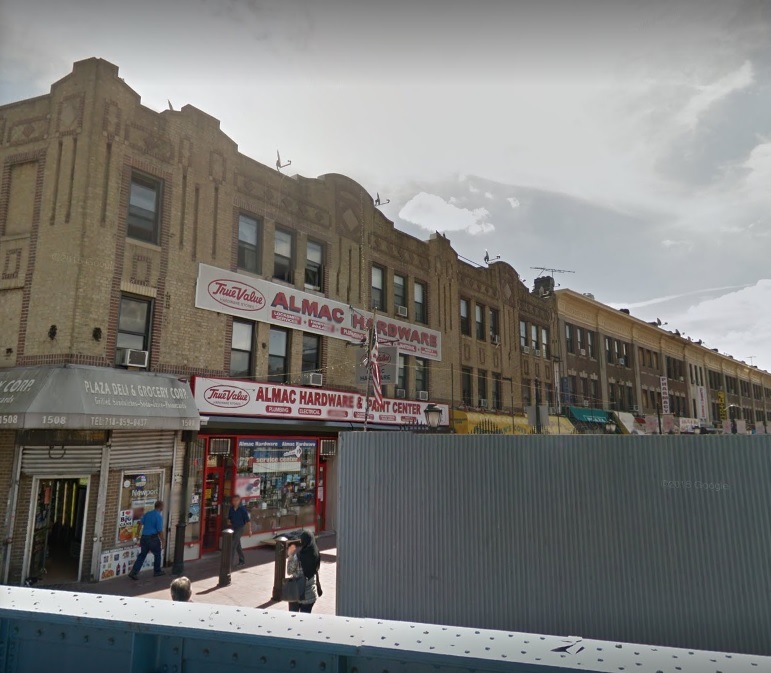 Running from Foster to Glenwood, between Coney Island Avenue and Westminster Road, some suggest it was named for Austin Corbin, the owner of the LIRR who created Manhattan Beach as a resort and built a railroad to take folks there that was a half mile southeast of the street. But a 1906 map shows the lane was marked "Private St" and by 1906, Austin Corbin was already dead 10 years. I like to think it wasn't named for a notorious bigoted oligarch but for a Brooklyn striver, John R. Corbin, one of the great master builders of Brooklyn. Aug 2016: Thanks, Chaudry Mohammad! Comment From Chaudry Mohammad: Among my many projects, I’ve been trying to get some attention and action on Corbin Court and its dilapidated state. It’s been a slow process and especially frustrating because it’s private property. 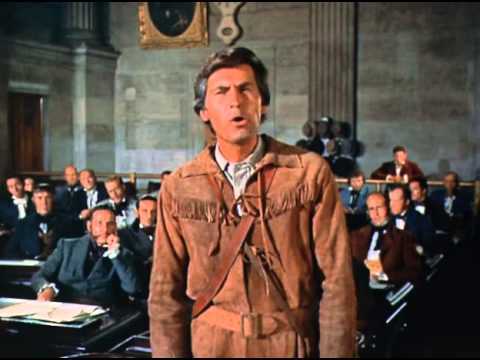 As part of my research, I too came to the same conclusion as you, namely, that the road is named after John Corbin, the builder. Corbin Court is actually comprised of four tax lots that include the adjacent buildings that face Coney Island Ave. I’ve always suspected Mr. Corbin may have had a hand in the construction of that block-long building. I don’t see any other reason why a private road would presumably be named after him. 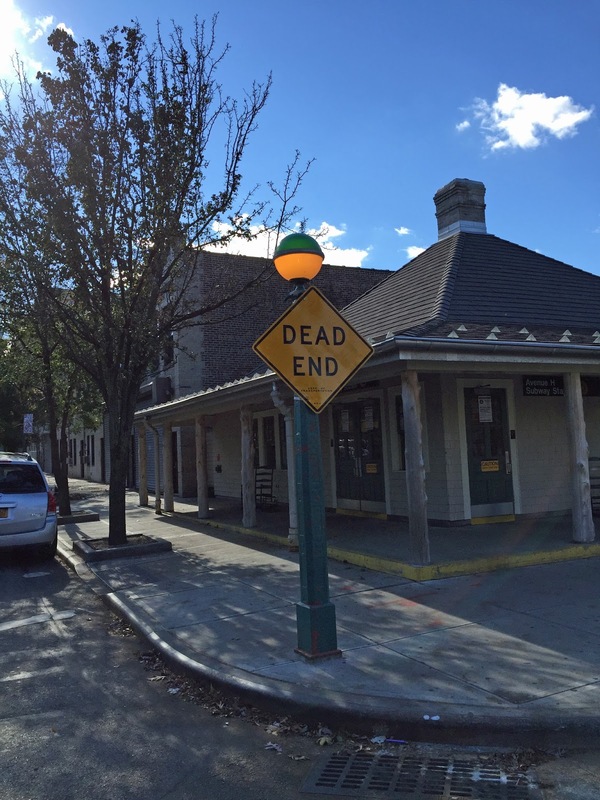 If you pass by Corbin Court by Foster Ave you’ll see that a street name sign was finally put up by DOT a few weeks ago. Private roads are a fascinating anachronism and case study. 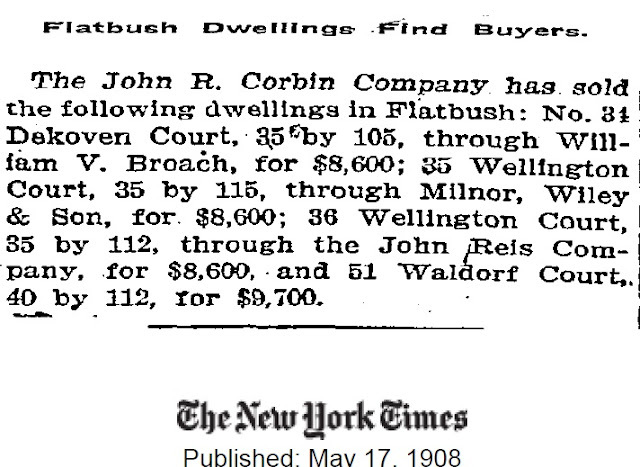 ADDED September 18, 2016: In compiling a list of houses that John R. Corbin built in the neighborhood, I came across a notice (see below) in the Brooklyn Daily Eagle dated March 3, 1906, on that newspaper's real estate transaction page. Deciphering the listing's shorthand, it reported that the John R. Corbin Co. had sold a property to George H. Durrie located on the east side of Coney Island Avenue, 20.1 feet north of Glenwood Road (then known as Avenue G) which had the dimensions of 20 feet (+1 inch) by 11 feet by 20 feet by 83 feet (+6 inches). 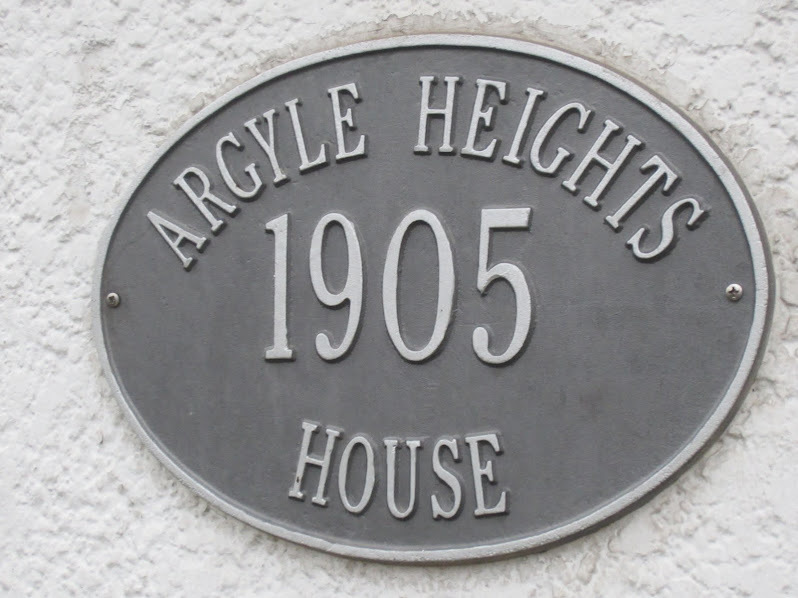 This was certainly an unusual size for a building, but it fits the dimensions of the structure that appears in maps dating back to 1906 (per above) and even earlier. 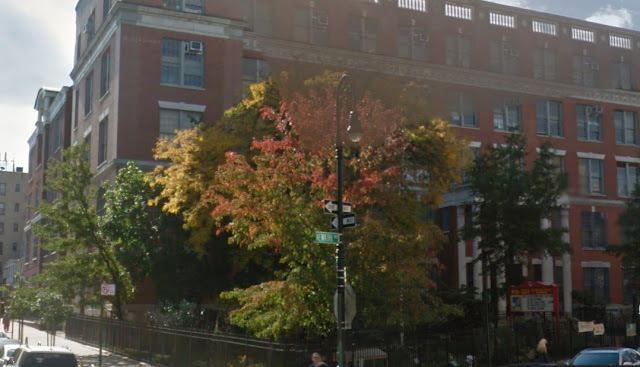 It serves as further confirmation that it is the very building still standing alongside Corbin Court, which, I think, we can now confidently conclude was named for the master builder of Brooklyn, John R. Corbin. 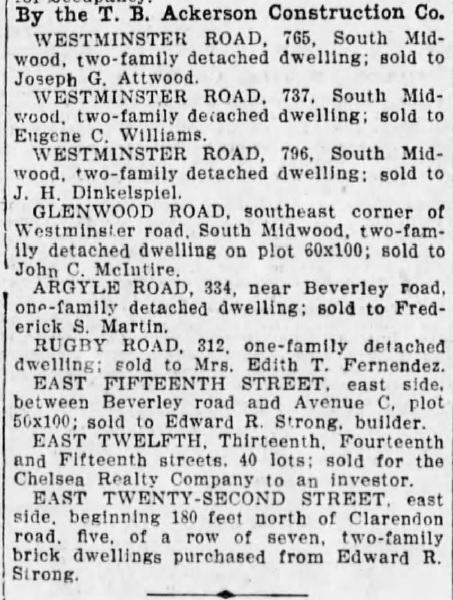 Here are some newspaper listings of interest concerning the homes Corbin and Ackerson built and sold. About the Photos: The recent lousy ones are mine, the good ones are from many different sources, including Bob Diamond, Joe Korman, Dave Pirman, Philip M. Goldstein, Ron Schweiger, Brian Merlis, Lee Rosenzweig, Oscar Israelowitz, Forgotten New York, Ditmas Park Corner, Brooklyn Public Library, Brooklyn Historical Society, Brooklyn Visual Heritage, NYC Department of Records, New York Times, New York Daily News, Brooklyn Daily Eagle, Google Maps, NYC Landmarks Commission, NYC Subways, and on and on and on...I don't make any money doing this. It's for the enjoyment of neighbors only so if I left anybody of this list, please let me know - I'm good at editing!